living it, learning it, loving it! 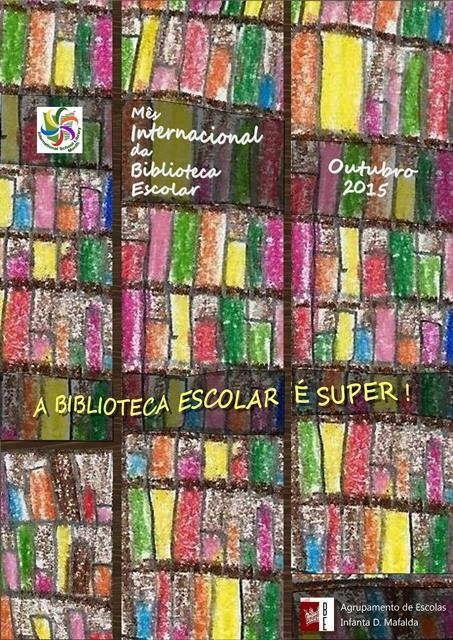 The school library day was celebrated on the 14th October 2015. There are about eight Junior Secondary Schools in the Kanye cluster. Teacher librarians in the area agreed to celebrate the day at one of the schools and Mookami Junior Secondary School was chosen. 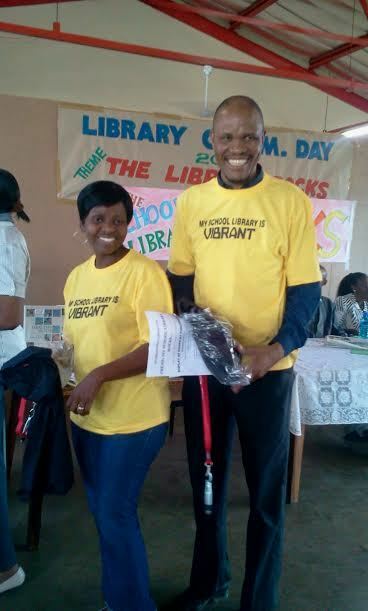 Teacher librarians printed different colorful t-shirts to give the day a good celebration mood. The T-shirts were written a message which interpreted the theme for the day. 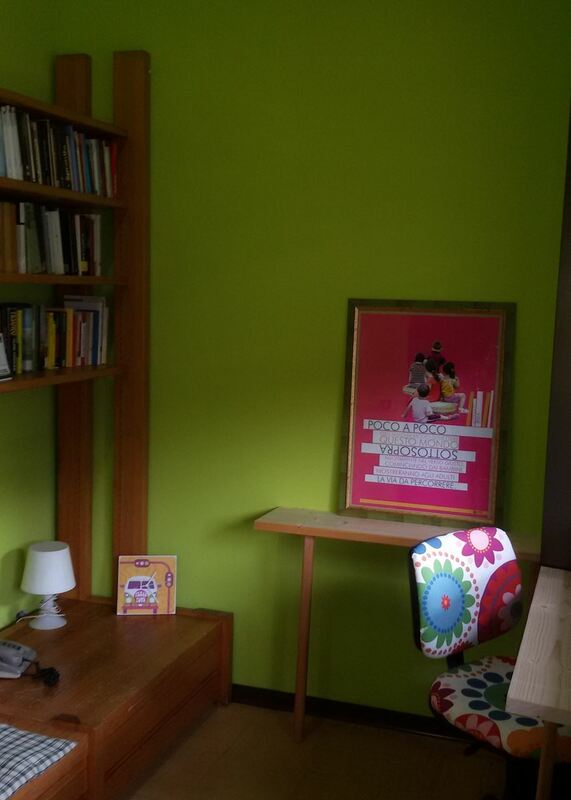 This message read, ‘MY SCHOOL LIBRARY IS VIBRANT’. 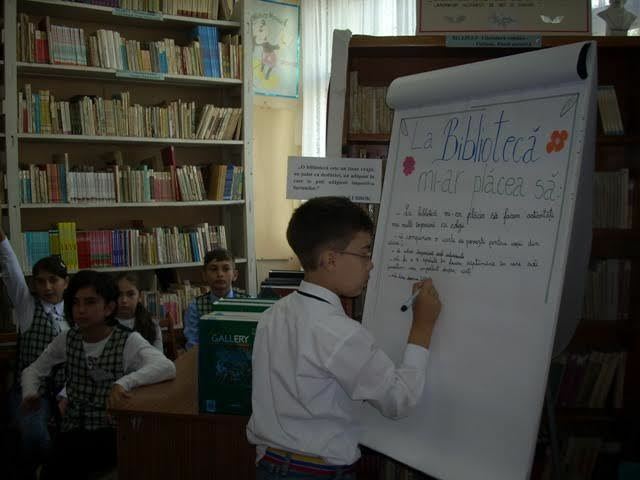 Students took part in different activities so as to pass the message to other library users. 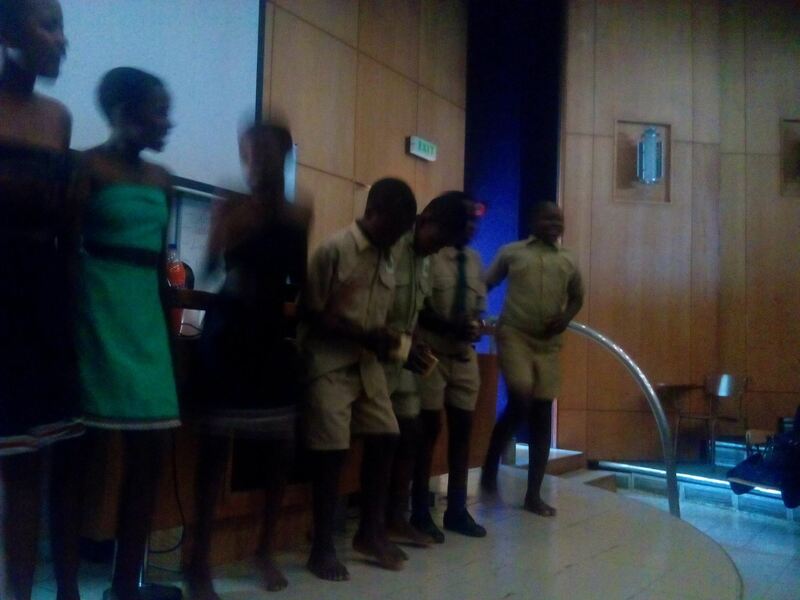 Some of the activities were role play, poems and speeches showing how school libraries are vibrant, active and educative. There was a guest speaker Dr Angelina Totolo from the University of Botswana who in her informative speech motivated teacher-librarians to carry on with the good work they are doing. 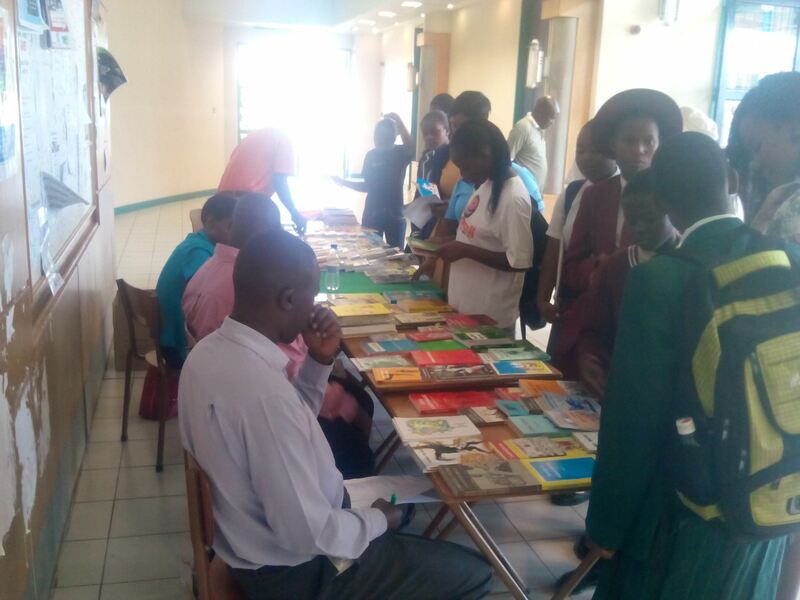 Some book publishers from Macmillan and Home Health Books were also present to showcase their educational sources and also award the best readers ‘students from all school libraries in the cluster. The book mark project is going on and the book marks will be exchanged across school libraries. Name: Rodrigo Barbosa de Paulo and Helen de Castro Silva Casarin. Title of your position: Rodrigo- Librarian and master's degree in information science student; Helen -Currently professor in the Department of Information Science at the Universidade Estadual Paulista Júlio de Mesquita Filho (UNESP-Marília). School or organization: Universidade Estadual Paulista (Unesp Marília- Brazil); Marília Municipal Education Secretary (Brazil); and Carlos III University (Spain). 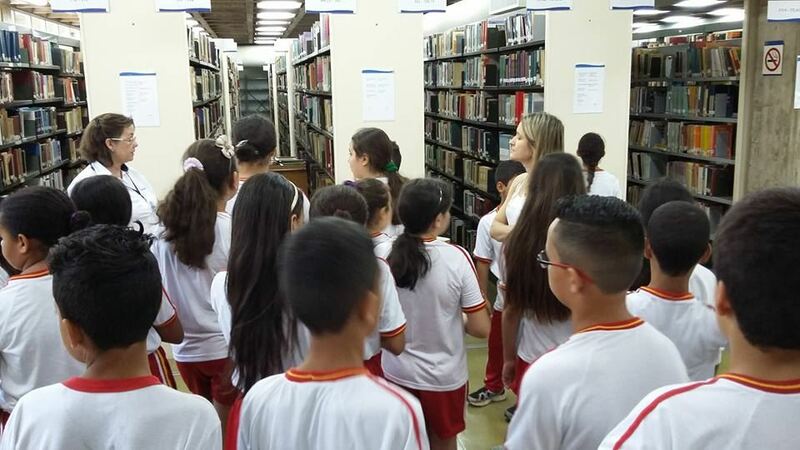 The project called "School library in elementary school: in search of an alternative model", coordinate by Helen de Castro Silva Casarin, aims to develop a school library that overcomes the traditional shortcomings found and consider specifically the information literacy, at two public schools in Marília - Saint Paulo State (Brazil). 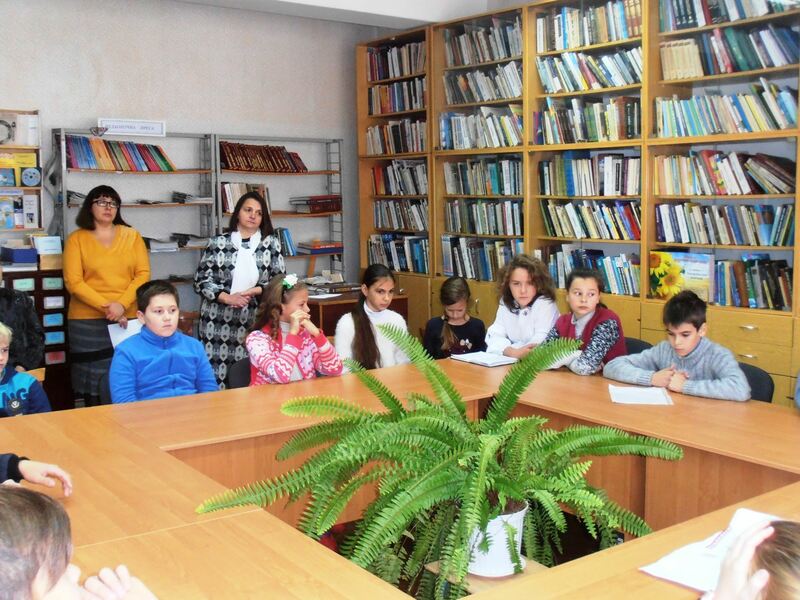 The project has two aspects: to remodel the space and organize the collection of libraries and train teachers and students to use the library as a learning resource and the development of information literacy in the school community. The librarian came with the planning of school teaching activities and assists the teacher in the development of educational research. 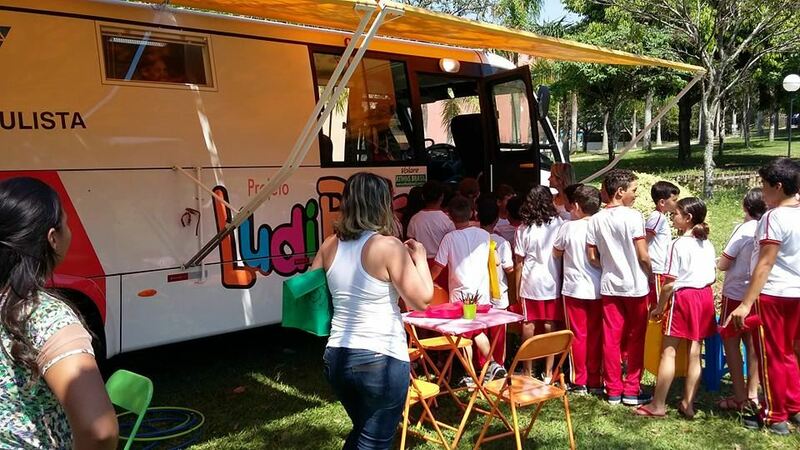 This year in October month, to celebrate the ISLM we invited the students of a primary school to know the library of our university - Unesp, where happened the Little Prince storytelling and play with the "Ludibus", or bus library of our university and they played some tradicional games. 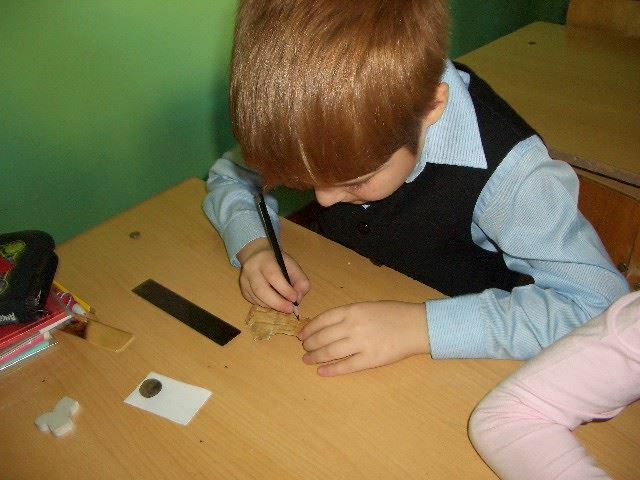 ISLM activity: This year our school, Primary school Korog, has joined second time ISLM Bookmark Exchange Project. 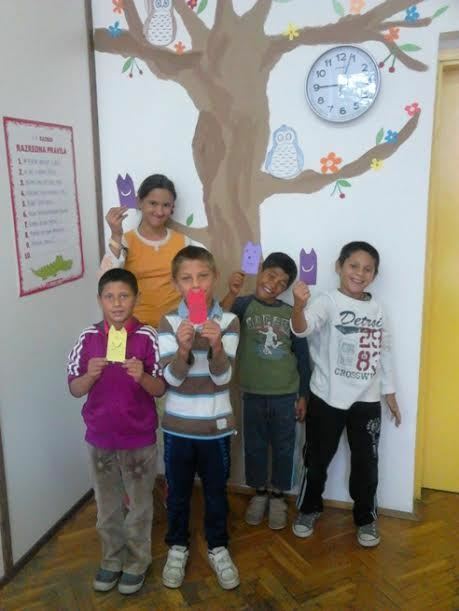 We are from Croatia and in our school Hungarian national minority is educated in their language. 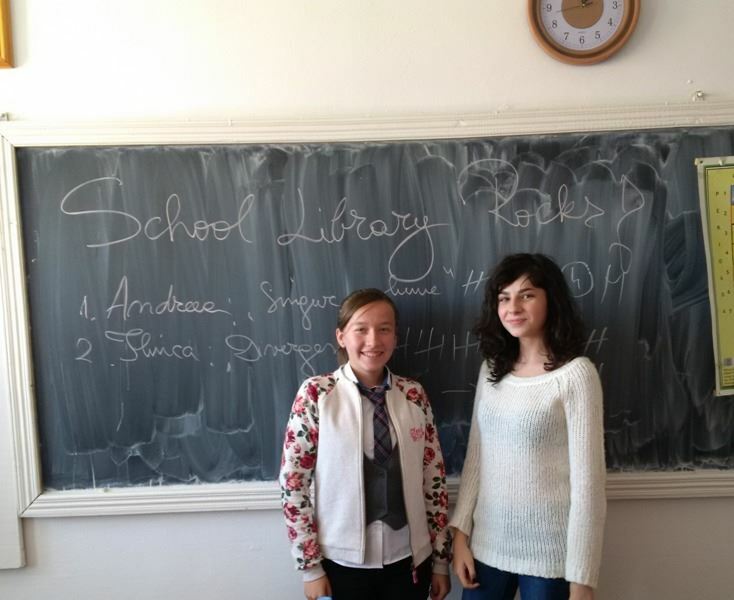 In the project are included pupils from 6th grade, together with their english teacher and librarian. 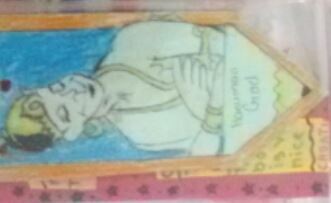 We designed our bookmarks together with our pupils. We made small dictionary bookmarks and we photographed the process. Our teachers and pupils research and study about our partner country (Estonia) in school library and they made power point presentation about our and partner school. 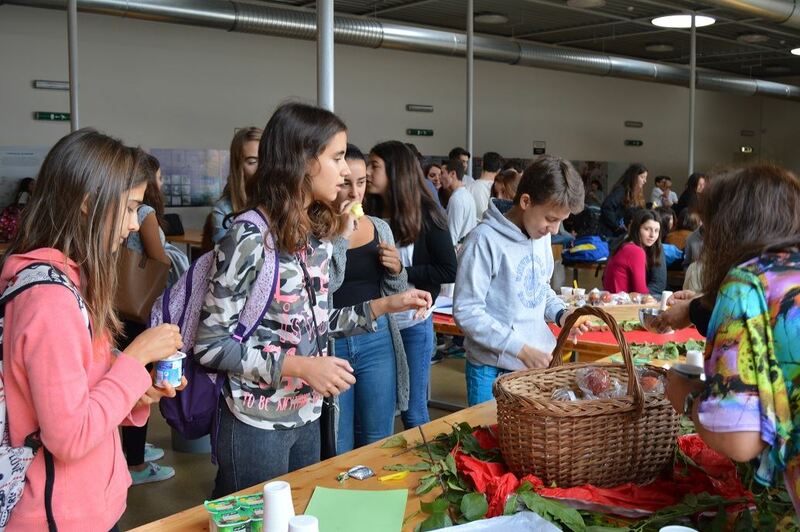 We plan to present the project to the rest of the school and to pupils' parents on our school's Open door day and with that we will conclude this year participation. You can see the photos on our web page. 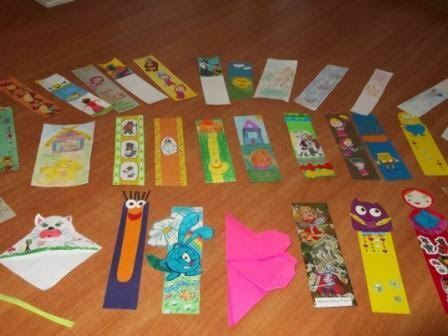 ISLM activity: This year our school, Primary school Lug, has joined second time ISLM Bookmark Exchange Project. 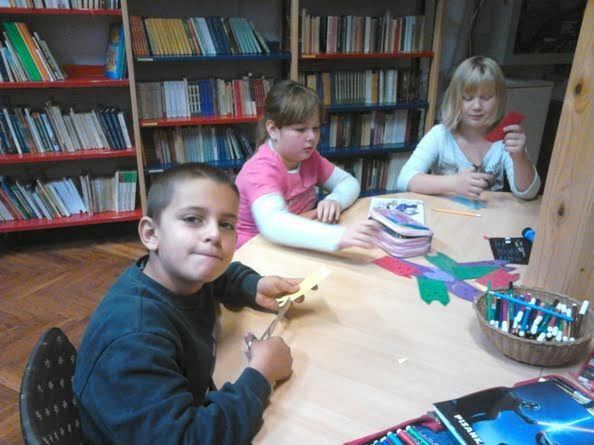 We are from Croatia and in our school Hungarian national minority is educated in their language. 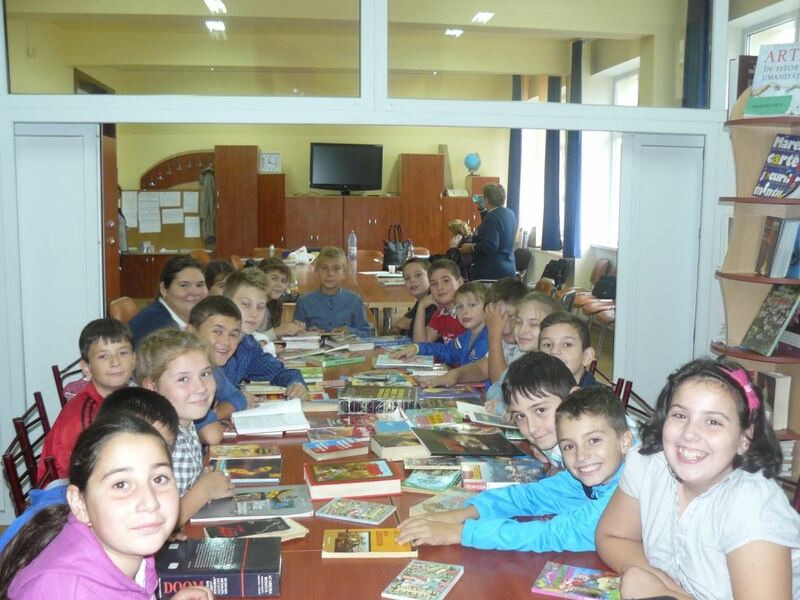 In the project are included pupils from 4th grade, together with their teachers and librarian. 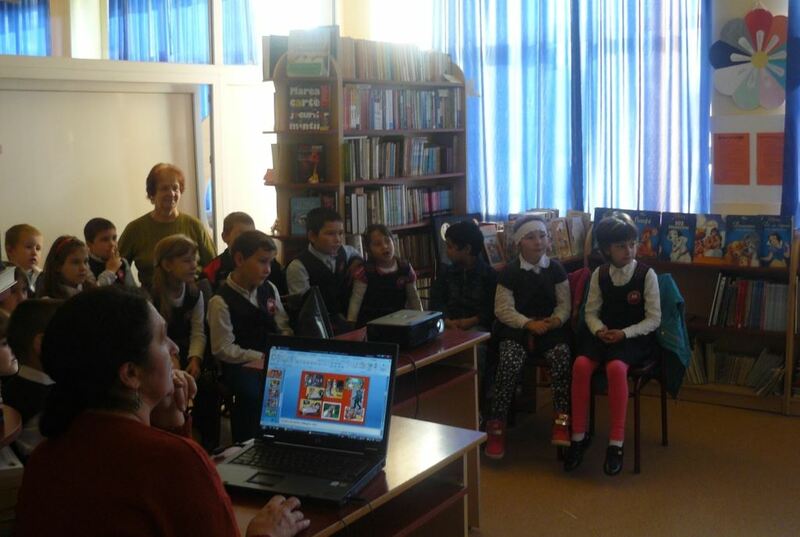 Our teachers and pupils research and study about our partner country (Hungary) in school library and they made power point presentation about our and partner school. 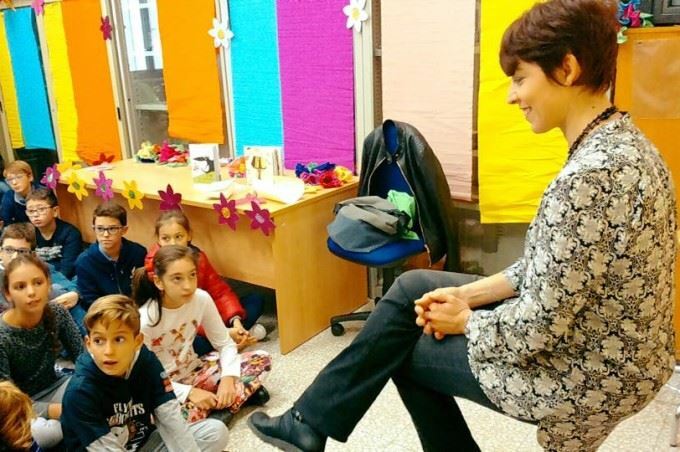 We plan to present the project to the rest of the school and to pupils' parents on our school's Open door day and with that we will conclude this year participation. Name: Dražana Filipović, prof. i dipl.knjiž. Students participated in several creative workshops. 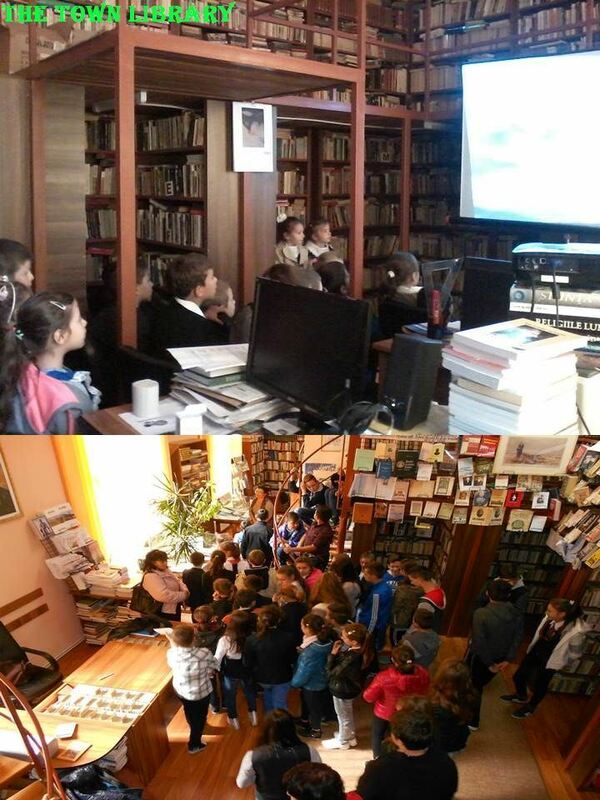 We celebrated Croatian Book Month (15 October-15 November), International School Library Day (26 October) and Croatian Library Day (11 November). 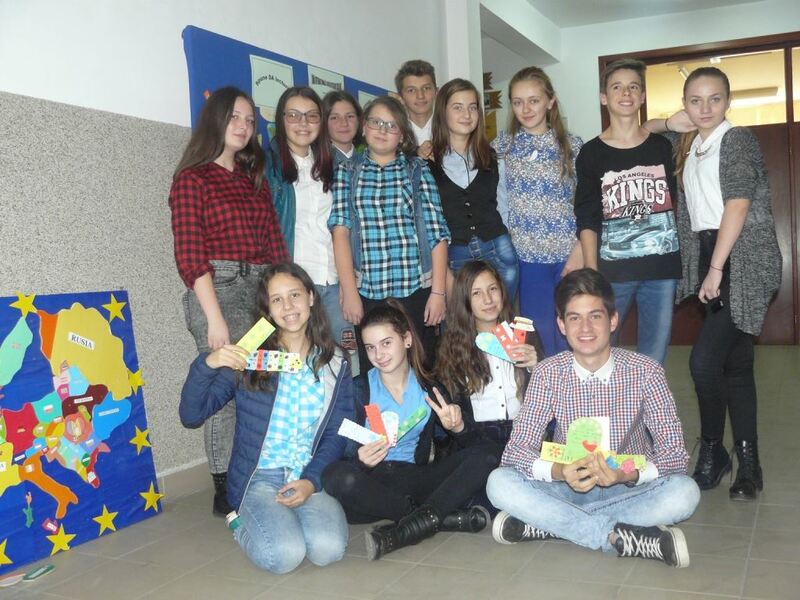 Students participated in the Bookmark Exchange Project with schools from Slovenia and Hungary with whom we have exchanged 12 bookmarks. 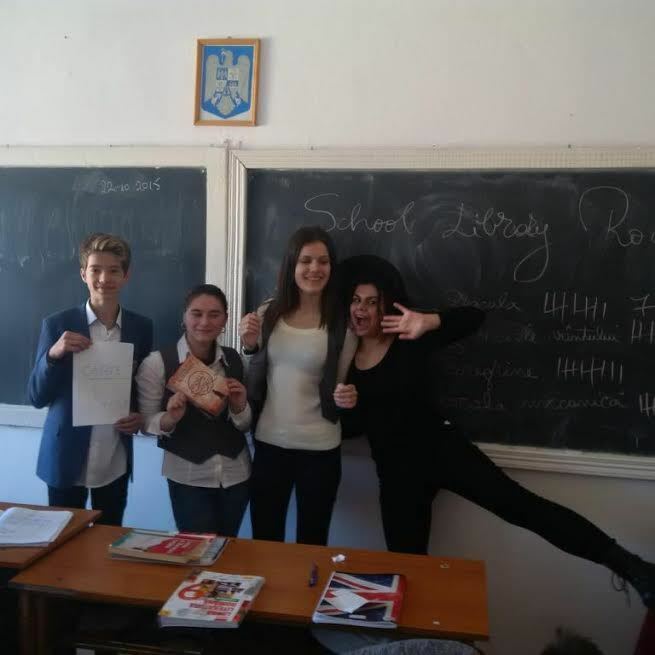 In celebration of Croatian Book Month, we have applied for the project ''Čitanjem do zvijezda'' (“Read your way to the stars“) in which the pupils will get the opportunity to improve their reading and writing skills, their creativity while working in groups and individually, too. We tend to help the children improve their information technology skills, encourage them to spend their free time in an organized way and help them to express themselves. Our students have made a creative bulletin board in order to mark these important dates. 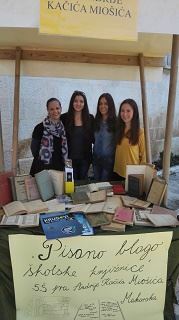 On Makarska's Town Day, celebrated on October 24, we took part in Sajam Mogućnosti (Opportunities Fair) where we exposed Pisano blago školske knjižnice (The Written Treasure of the School Library), showing our guests the old books written and published before the age of 1940 written by eminent Croatian writers. Those who visited our exhibition were glad to get the bookmarks made by our students. 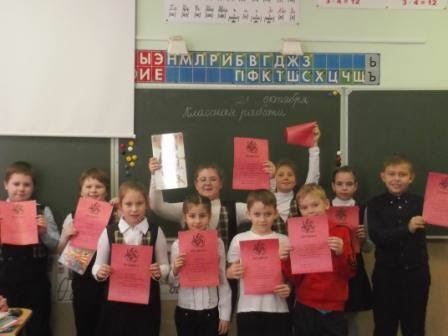 Class 1e students had a workshop to commemorate Vukovar Remembrance Day, which is marked on 18 November. 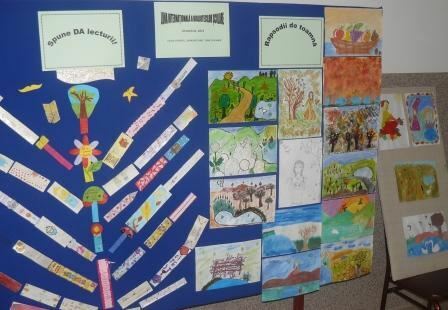 Using their literary pens and artistic brushes in both Croatian language classes and the school library, they created works to decorate the school exhibition area on that day. 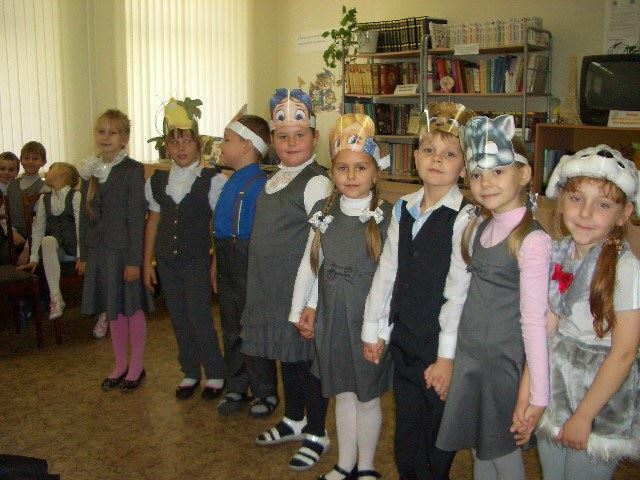 We are preparing the play called The School Lesson. With profound scene, corageous actors and our school's nightingales we are hoping to entertain all the present. Finally, by doing all this, we want to tell everyone that school library is not only the place piled with the books but the place where you can have fun and place where imagination can be free. 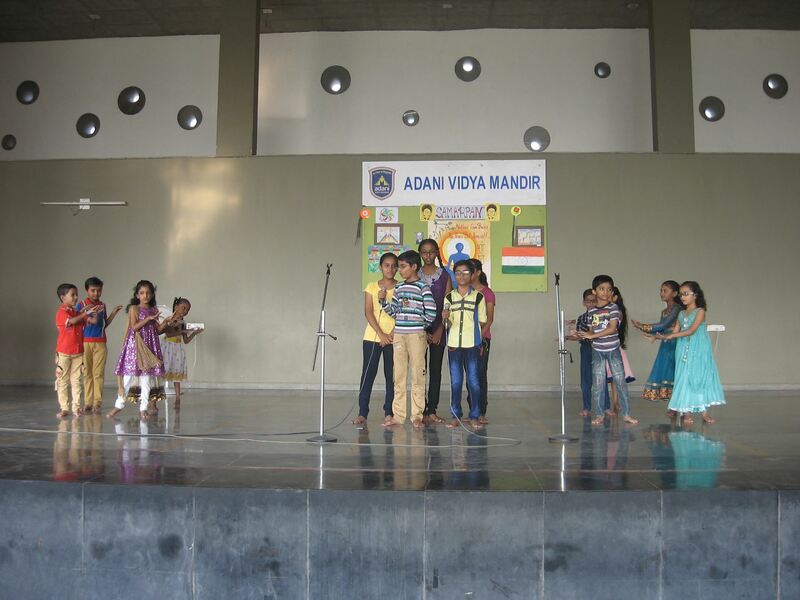 OUR SCHOOL: Adani Vidya Mandir (A.V.M.). INAUGRATION OF ISLM: Students of Std. 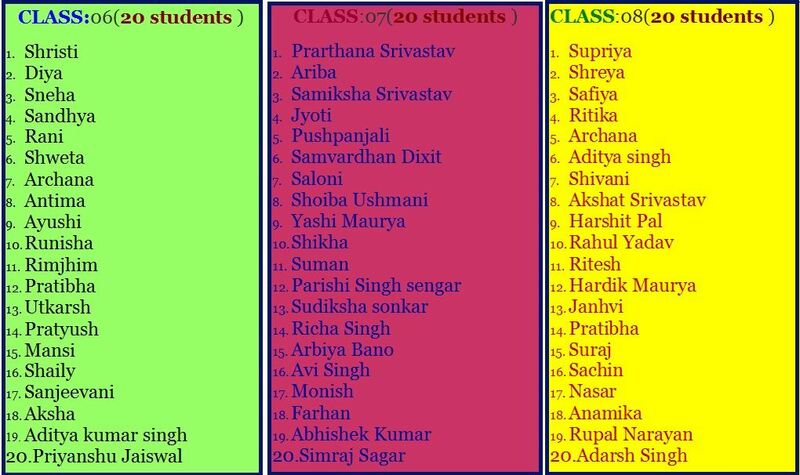 III and VII std. enacted and sang the Poem ‘The Heavens are blue.’ The students of IX std. put an informative mime ‘Library a Treasure House’ that sends a message to use Library Resources wisely. 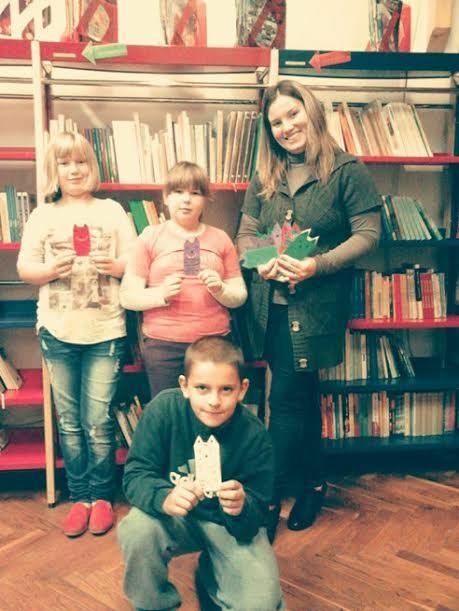 ISLM BOOKMARK PROJECT: We swapped our Bookmarks with Osnovna Skola Vladimir Nazor School at Nevidjane 217 in Croatia. 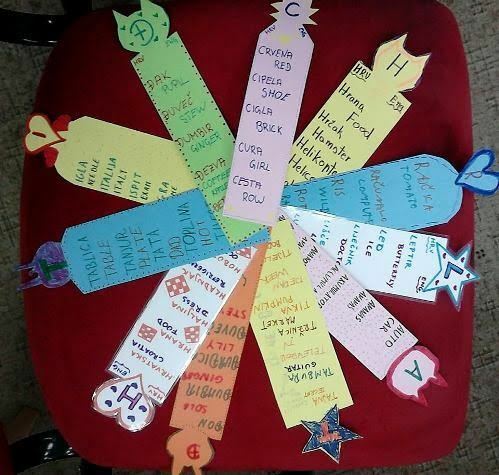 Students of VI and VII graders made Book-Marks on spell-binding themes such as India’s Historical Places, Indian Writers, Favourite story characters and thoughts of Great Personalities. 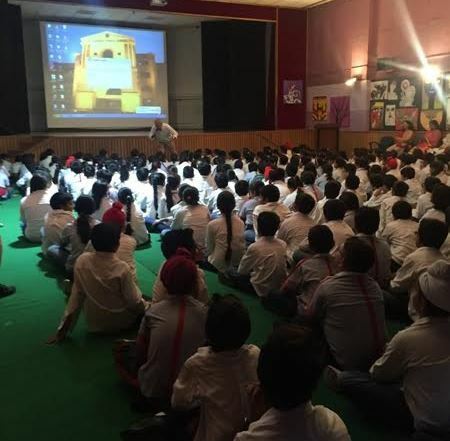 SPECIAL ASSEMBLIES: On the occasion of ISLM, English, Hindi and Guajarati literature’s assembly were put forward by the students. EXHIBITION: Display of books on different subjects like philosophy, inspiration, Biographies, English, Hindi and Gujarati literature, India and its resources, references books like encyclopaedia, yearbook, subject dictionary, and works of great personalities such as Mahatma Gandhi. 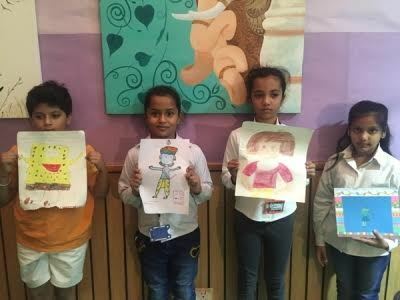 We had various vibrant activities such as ISLM Logo Colouring Activity, Fun with Letters, "Mimicri" of favourite story characters with dialogues, play on favourite books, and Jig Saw Puzzles. We celebrated Multilingual Literature Days. On these days regional, National and International Literature of ancient, Medieval and Present Era was studied and displayed. On the last day, a tribute to Indian writers was given by recognizing their great works and acknowledging their achievements and awards. 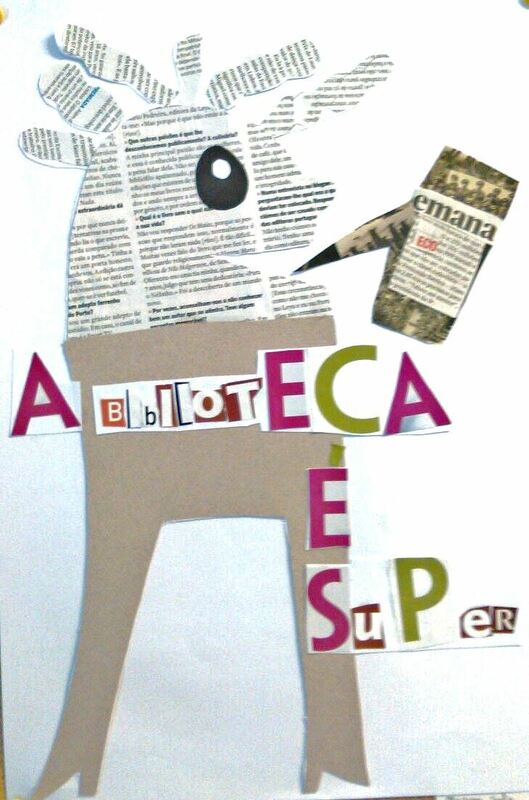 At the end a gripping activity "Scavengers Hunt" based on Library resources were kept for teachers. ISLM is celebrated to inculcate amongst the students a habit of reading books and to encourage them to explore the treasure of knowledge hidden in the books. 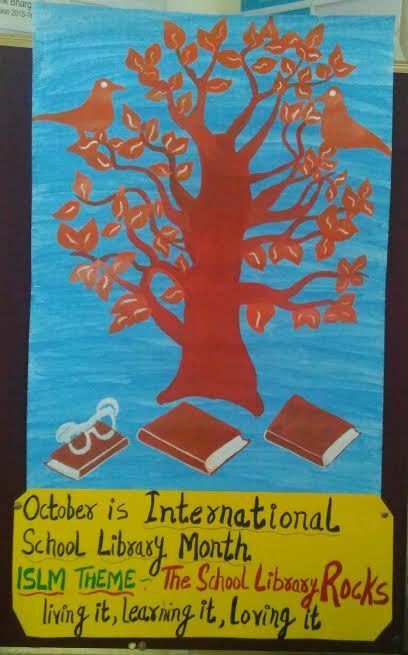 Library week was celebrated from 5th October to 7th October in GD Goenka Public School, Vasant Kunj . 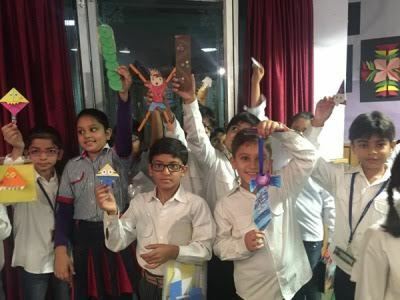 During the week, the entire school was abuzz with various activities and competitions associated with ‘books and reading’ for all the classes from 3 to 11. 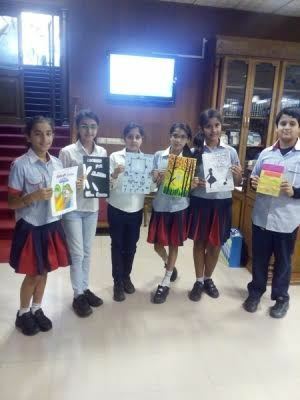 A number of book related activities including ‘Bookmark Competition’, ‘Draw and Describe Favourite Book Character’, ‘Picture Composition’, ‘Story Writing’, ‘Book Cover Design’, ‘Book Review’ , ‘Inter–House Book Quiz’, ‘Author Workshop’ were held during the week. 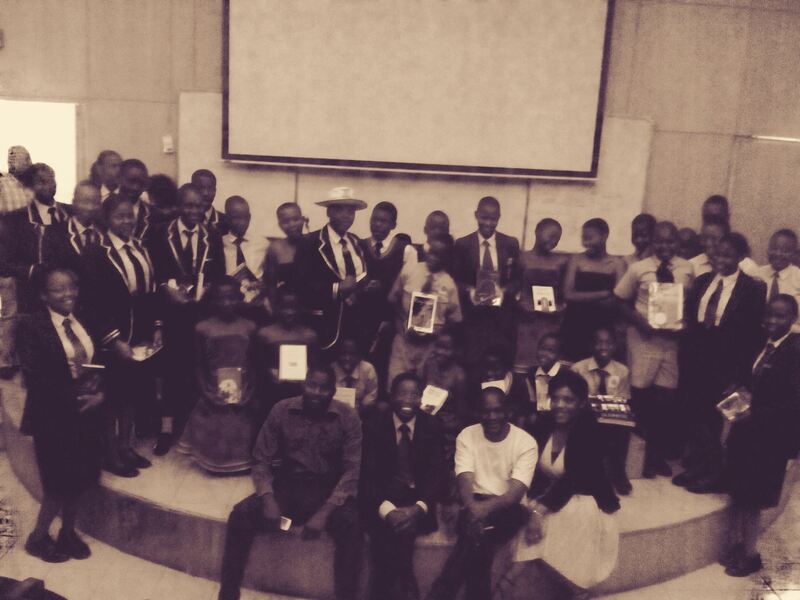 The events so planned are aimed to not only encourage readings habits amongst the students but also to bring out their creative potential to the fore. An important highlight of the library week was story telling session with Sanjay Muttoo on 6th October for the classes 4 & 5. Mr. Muttoo has been closely associated with All India Radio since 1992. As a documentary film maker he has researched, scripted and directed many documentary films. 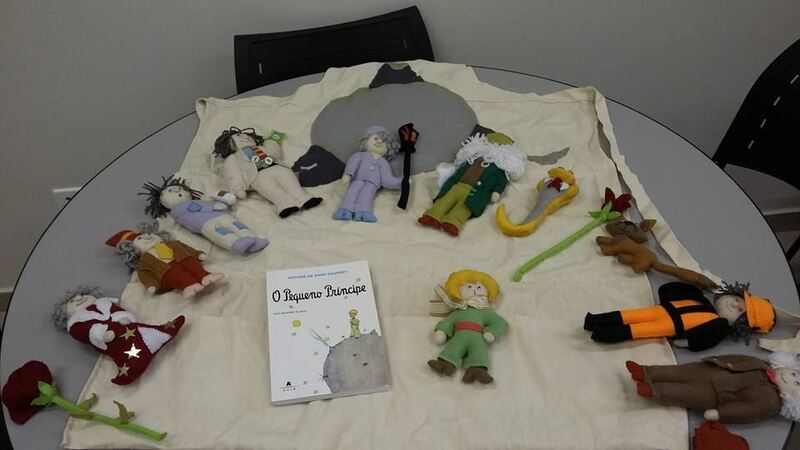 Children unanimously enjoyed the actions portrayed by him for different animals during the narration of his stories. Scholastic Book Fair - We arranged a book fair in the school where books of several varieties were available for the different age groups. 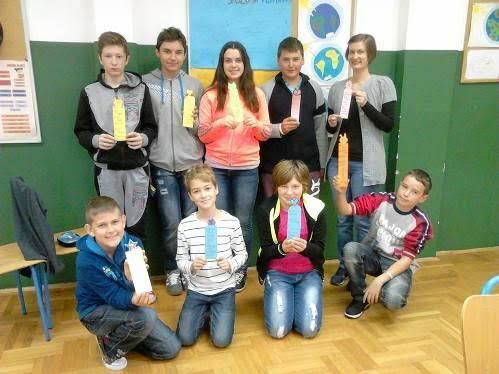 The other activity carried out in October was the participation in ISLM Bookmark project with two schools in Croatia. 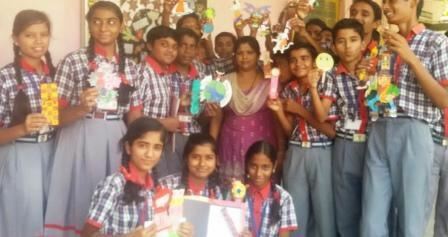 Children from classes 3 to 6 made handmade bookmarks and exchanged them with their matched schools. 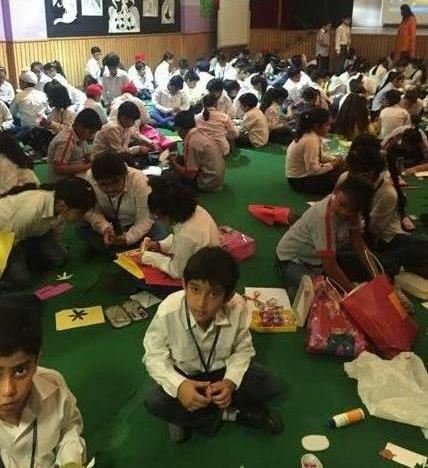 Celebrating ISLM has certainly become an integral part at ‘The Millennium School, Mohali’. 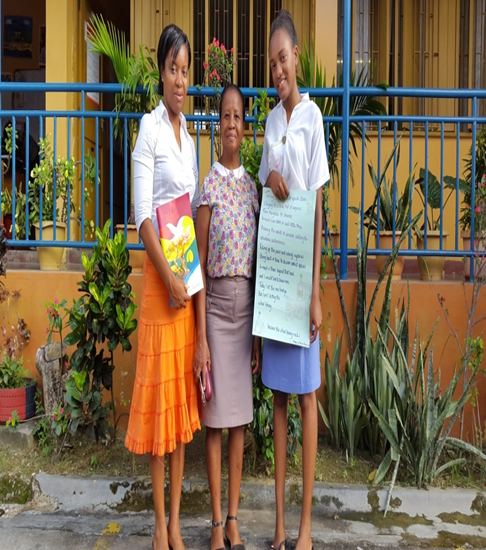 Our school students are ever excited to be a part of the ISLM Projects. The school library bulletin board was updated giving information to one and all about ‘ISLM’ and about the various projects. The school hosted a three days’ Scholastic Book Fair for students as well as for parents. The students enjoyed browsing books of their interests. 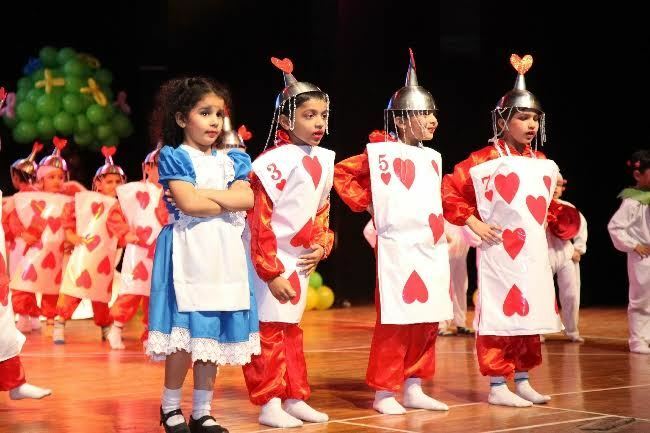 The Pre-primary students of our school enacted a play on the fairy tale ’Alice in Wonderland’ for the parents. This show was a huge success and was appreciated by one and all. 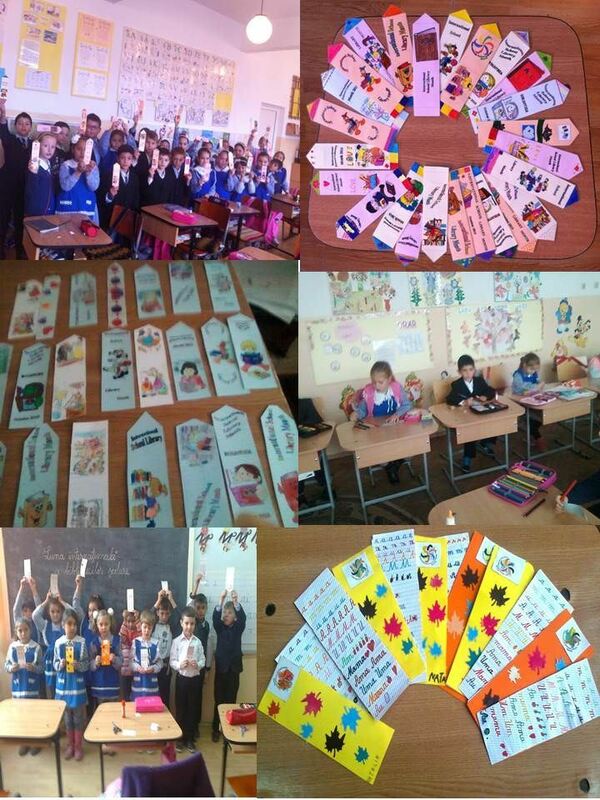 Also, the students made bookmarks giving information about our country i.e. on its culture, currency, festivals, sports, national symbols, authors, books, and many more. Besides this, students also made greeting cards and exchanged letters with their pals from other countries. 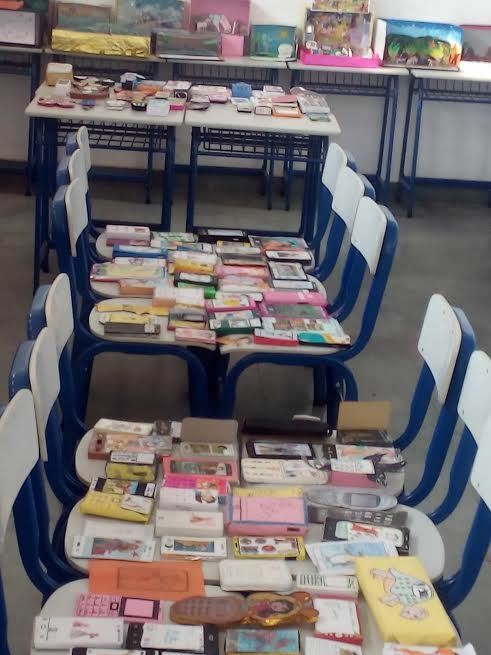 This year, our students exchanged bookmarks with four schools. These are : -McAuliffe Elementary (Texas, USA) ,SzegediGregorJózsefÁltalánosIskola (Hungary), Lam Tin Methodist Primary School (Hong Kong), EB1/J.I. 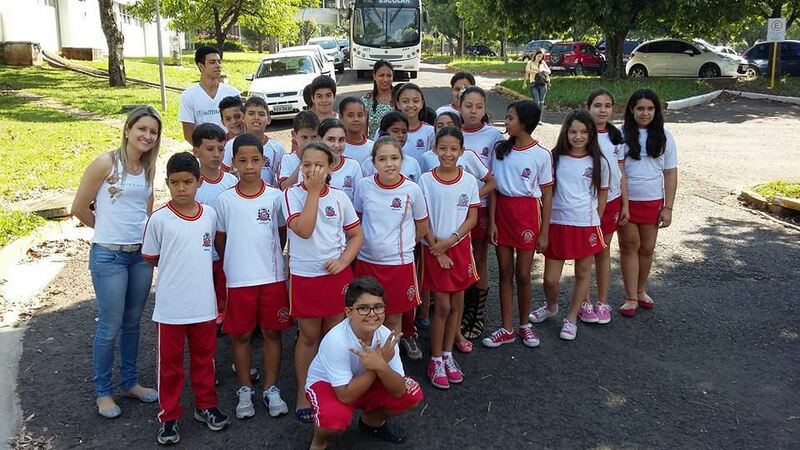 Santa Luzia do Agrupamento de Escolas Francisco de Holanda (Portugal). 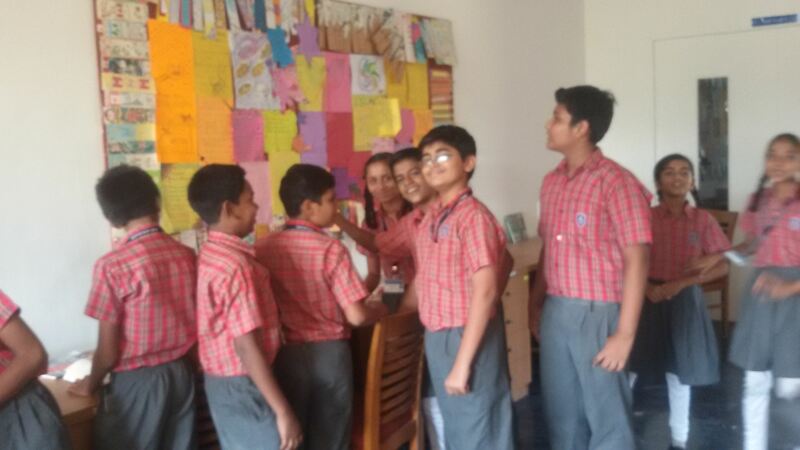 To mark the event, Inter House Library Quizzes were planned and conducted in the school premises. 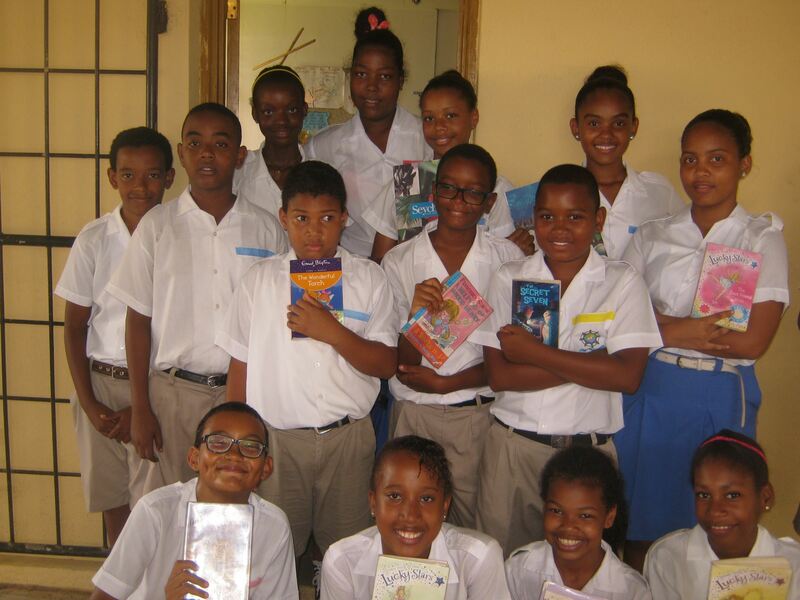 This year the school library was full with booksby authors loved by the students. 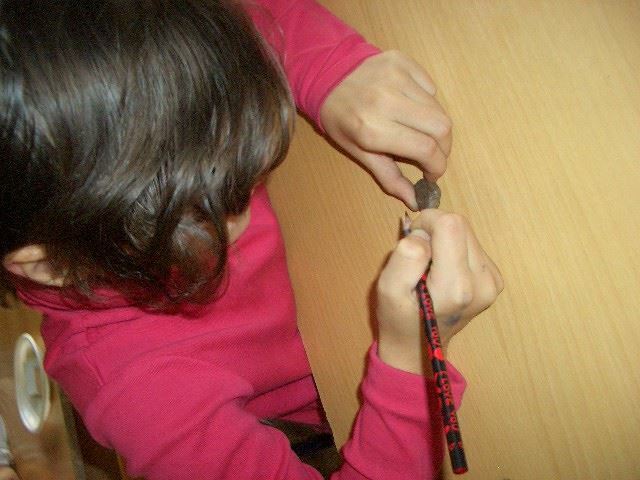 Junior students discovered the world of fairy tales. 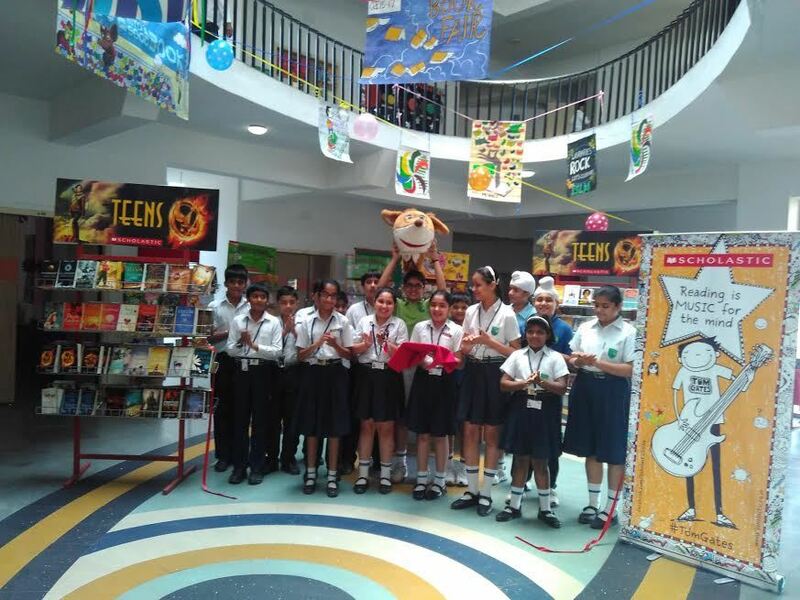 The students of grades IV-V landed in the ‘Mouse Land of Geronimo Stilton’, followed by adventure books by Enid Blyton. 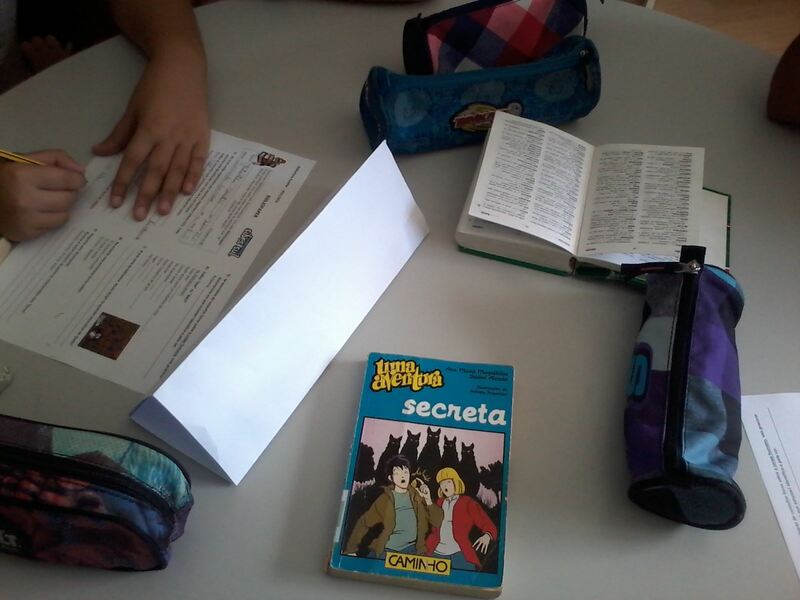 The students of classes VI-X enjoyed reading about the comic ‘Diary of a Wimpy Kid’ followed by the mystery books of the female detective Nancy Drew. 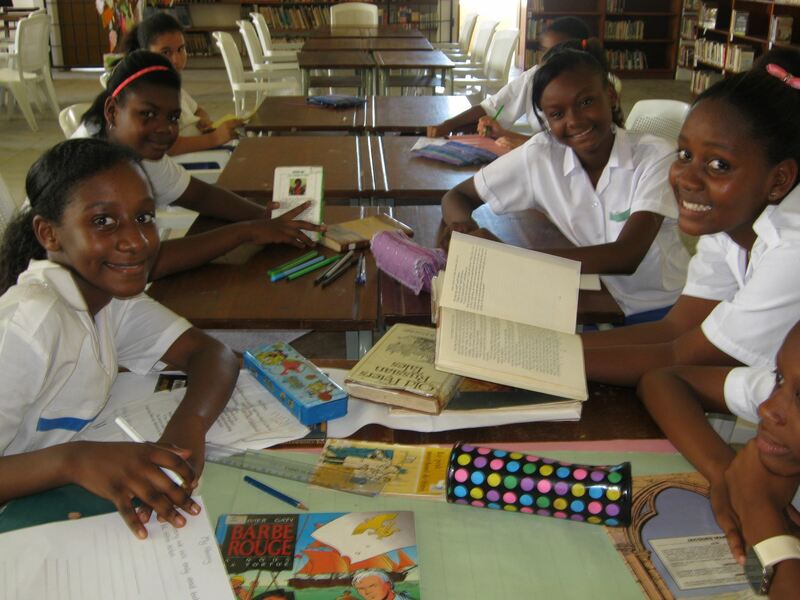 Last but not the least, the students of the senior wing read about real life heroes like Anne Frank and Malala. 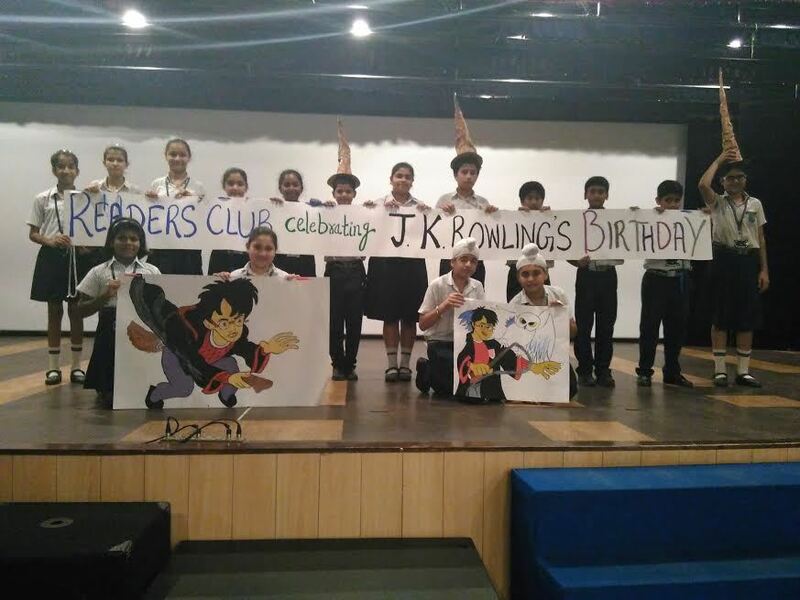 Our School’s Readers’ Club students read the book ‘Harry Potter and the Philosophers’ Stone and did a lot of projects based on the book. They also presented a special assembly on the book read by them. Letus, Looking forward to be a part of ISLM 2016 !! 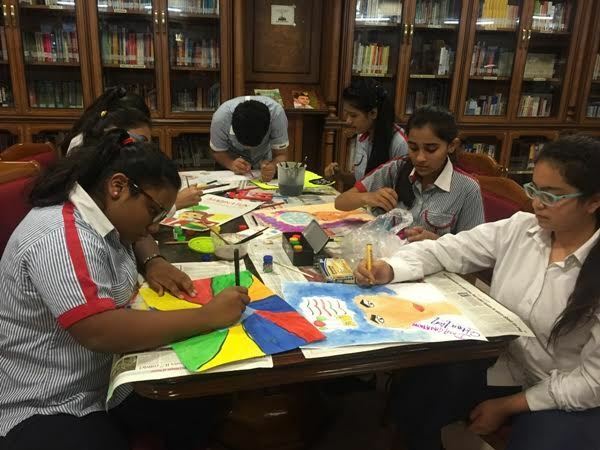 Brief outline of the ISLM activity: This year’s International School Library Month celebrations are all set to add new shades to the creative genius within each student. With a sound blend of modern and traditional, all activities planned are deeply rooted in books and yet have been chosen with current preferences of our students in mind. 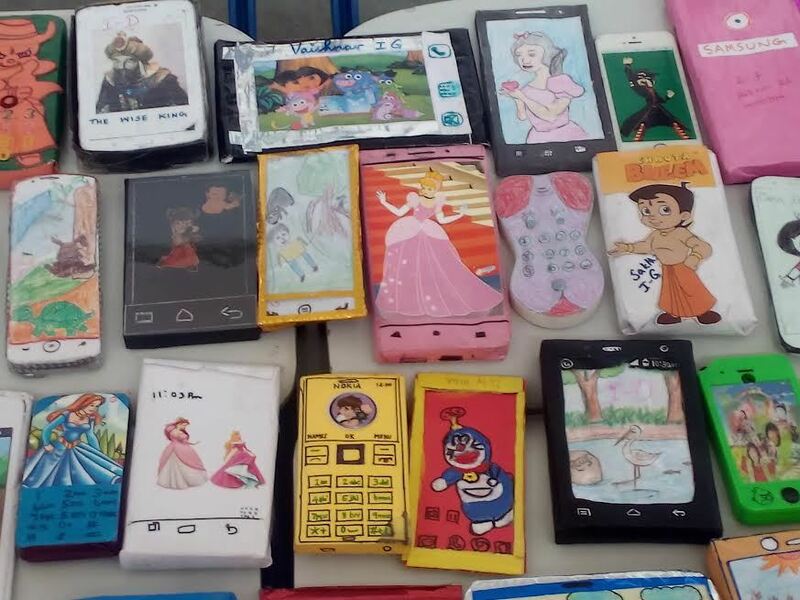 ACTIVITY 1(I TO III) - Design a mobile phone depicting a character or event from your favourite story by using charts. Benefit - Innovation and storytelling is being blended into one activity. 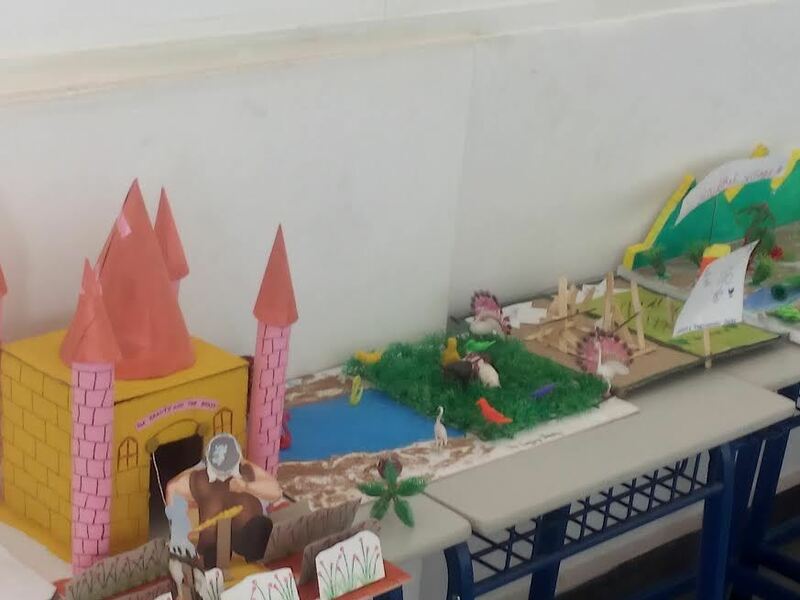 ACTIVITY 2 (IV & V) - Create a diorama depicting a scene from your favourite story. 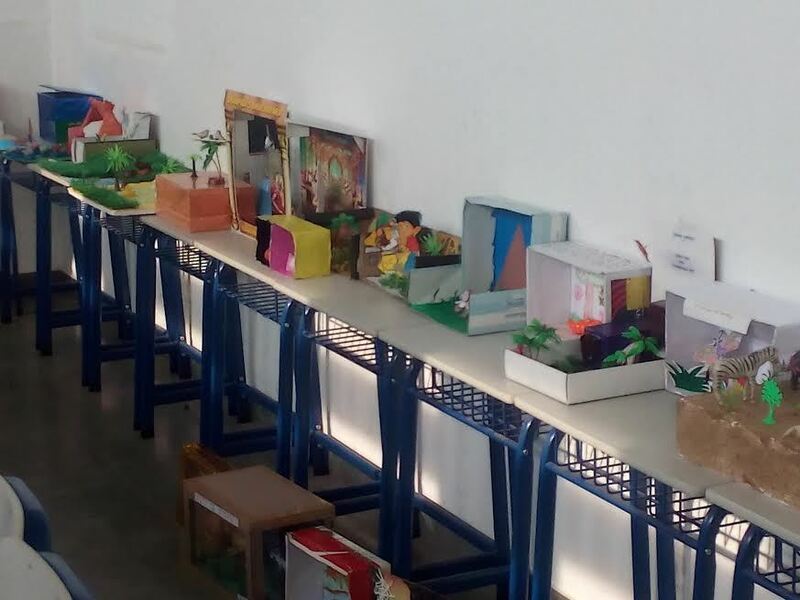 Benefit - They will have to find out what a diorama is, decide on which is their favourite story, plan what they wish to depict and then execute it. It involves research, creativity, some hard work and a lot of creative work. ACTIVITY 3 (VI TO VIII) - Create life size portraits of characters from an Agatha Christie’s novels. 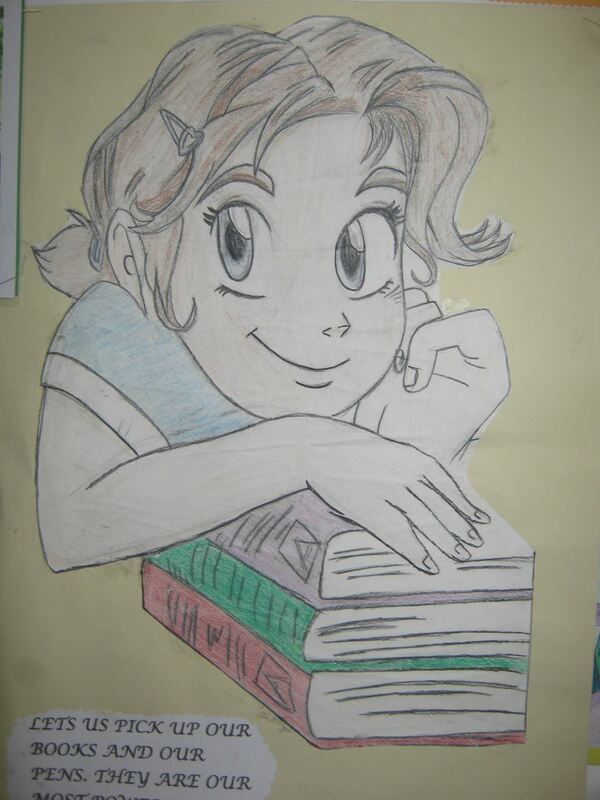 Benefit - Based on which character a student draws a portrait of, a judgement about what inspires him/her can be made. 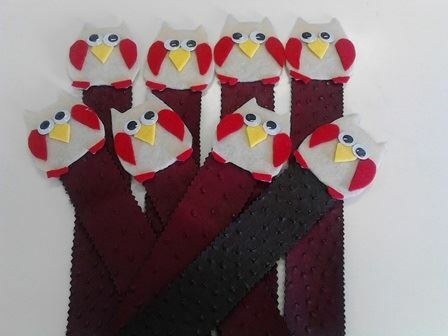 ACTIVITY 3 (IX TO X) - Book Mark Project. Benefit - There is no better time, than a month celebrating books to teach children about bookmarks. 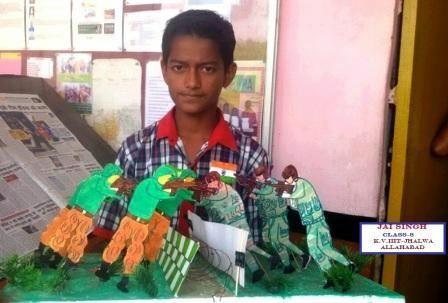 It is doubly wonderful that this can be used as an avenue for them to display their creativity as well. 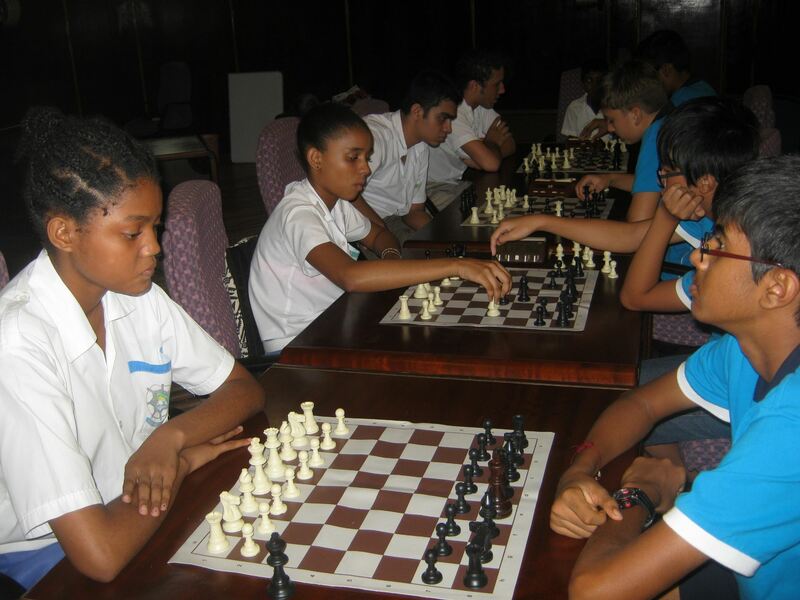 This year, we are participating with schools from across the world in two events. We are sharing our Book Marks Project with schools from other parts of the globe. We will also be participating in the global ‘Skype Project. 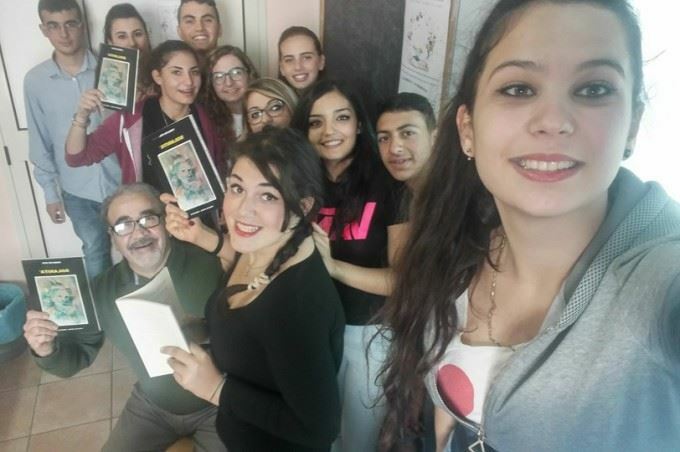 2nd edition for Libriamoci.Giornate di lettura nelle scuole, one week (26-31 October 2015) of reading out in the classrooms of huge numbers of Italian schools. Organized by National Book and Reading Centre together with the Minister for Education with the aim of inspiring passion for reading among our young generation. 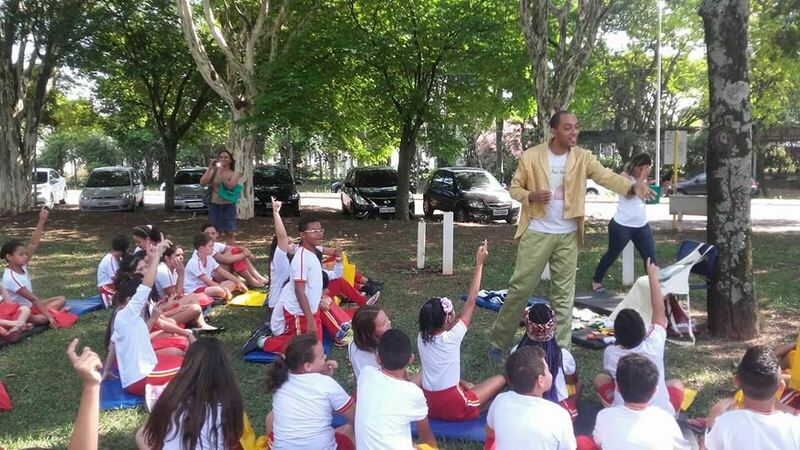 Many volunteers joined the activity: novel writers, actors, journalists, athletes as well as mayors, grandparents, etc. 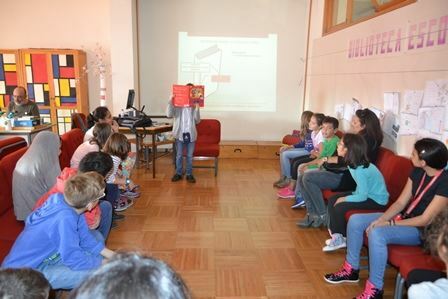 Almost 2.500 schools in Italy and 37 Italian schools abroad organized reading out events, during school time. 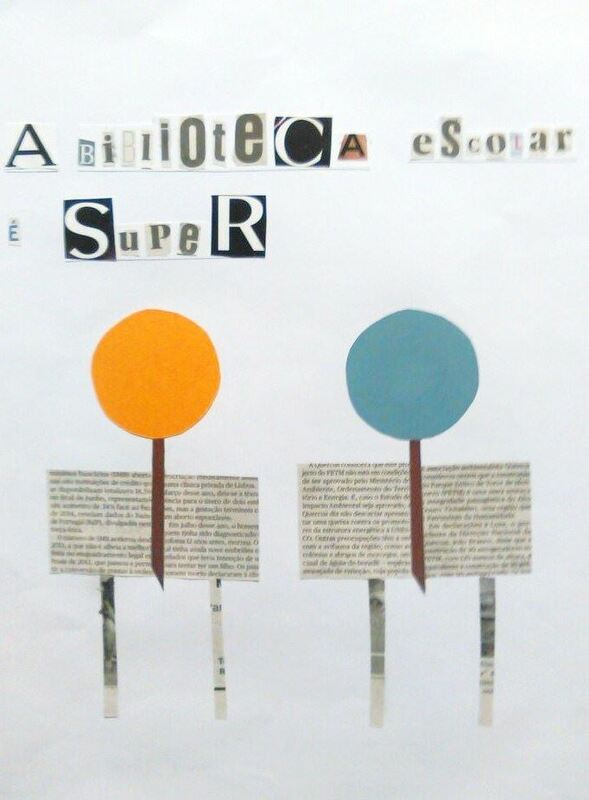 Brief outline of the ISLM activity: “Libri di evasione” (i.d., Books for escaping) Project, that aims at promoting reading among inmates who attend school in prison. 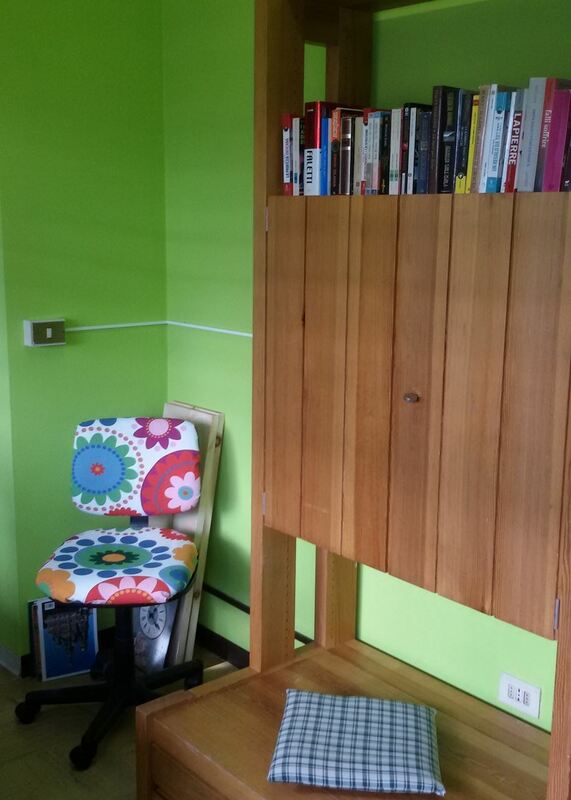 Inmates are free to pick one or more books to be read silently (or aloud) at the prison library. The students involved in the project then synthesize the content and main ideas of the book(s), reflect on them and express their emotions. The “Libri di evasione” project will be launched on Mon. Oct. 26, 2015 and will last for the entire school year 2015-16. 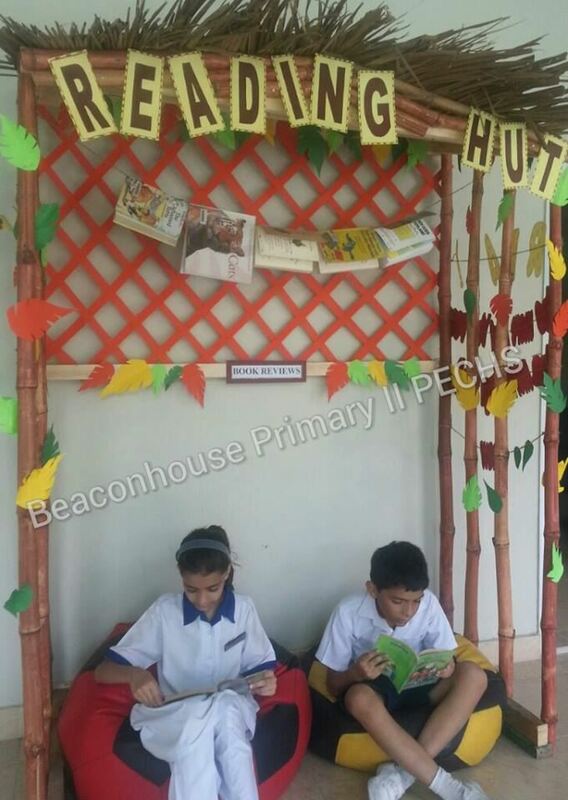 Beaconhouse School System Primary II PECHS conducted following activities to celebrate ISLM. Online Reading on Story Jumper. 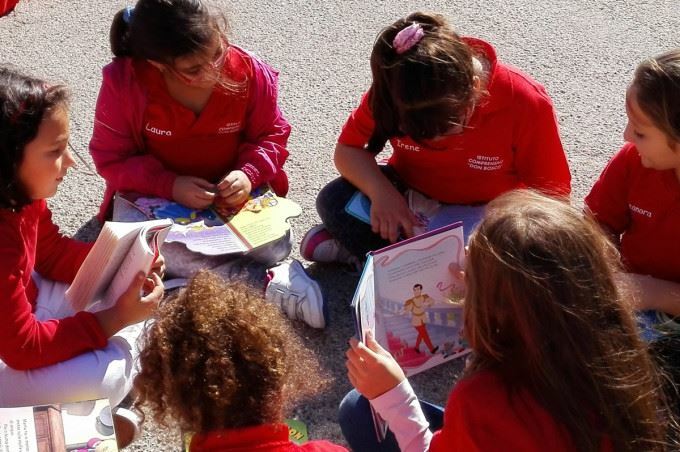 Read-a-thon: To promote reading habits we involved the entire school and commenced Read-a-thon reading competition students have been given the reading logs to keep their reading Record. They can read at home and in different reading areas in school and in learning centre as well. Online Reading: This year our Learning centre has been equipped with 4 tablets, curious students of class 5 enjoyed online reading on story jumper on these tablets. 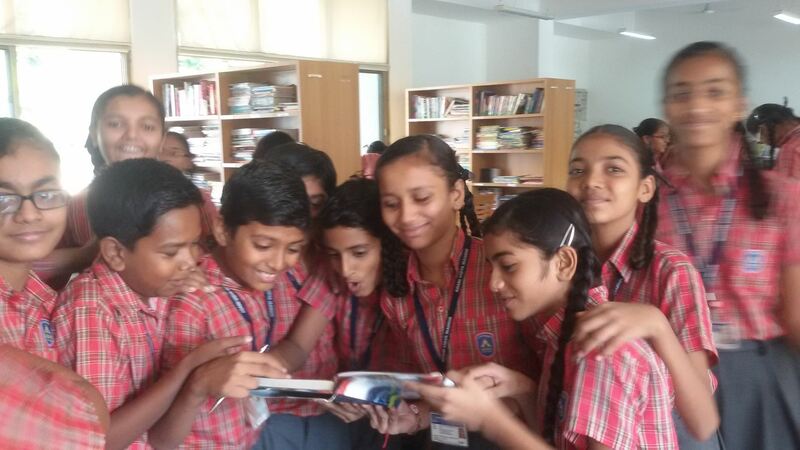 Question Cube: Students of Class IV enjoyed interactive cube activity, they read aloud a story (Magic Tree House: Adventures on Amazon) then every group open their boxes with questions inside and they answered the question. 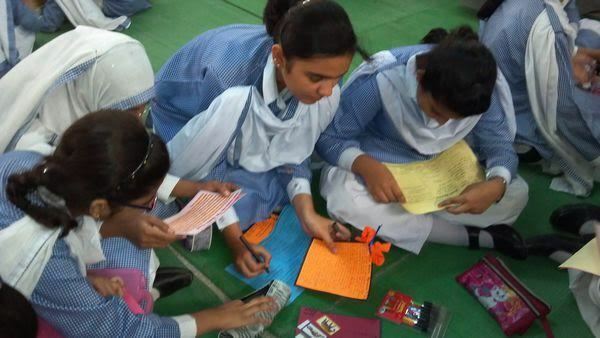 HHS Bookmark Exchange Project Pakistan: We have been conducting this event for the last two years and every year it has been a great success. 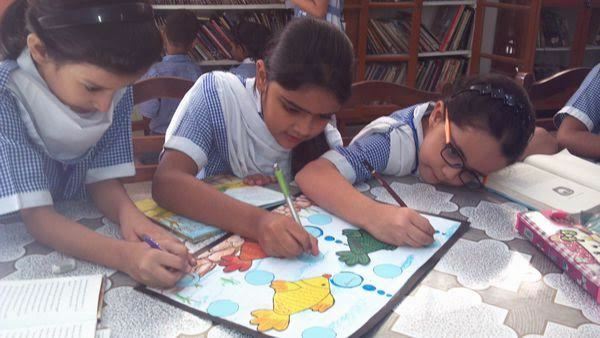 Starting from a few schools in Karachi the event has become bigger and better every year, and this year we had a record number of 27 schools participating in the Bookmark Exchange Project from all over Pakistan. HHS Interschool Storytelling Competition: The Happy Home School Storytelling Competition in Urdu and English was held as part of the ISLM Celebrations. 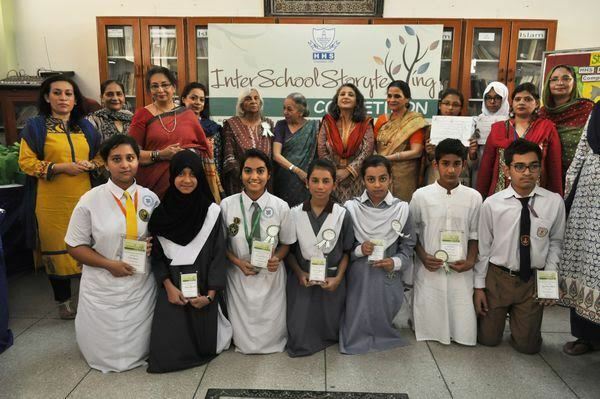 Sixteen schools of Karachi participated in the Interschool Storytelling Competition. 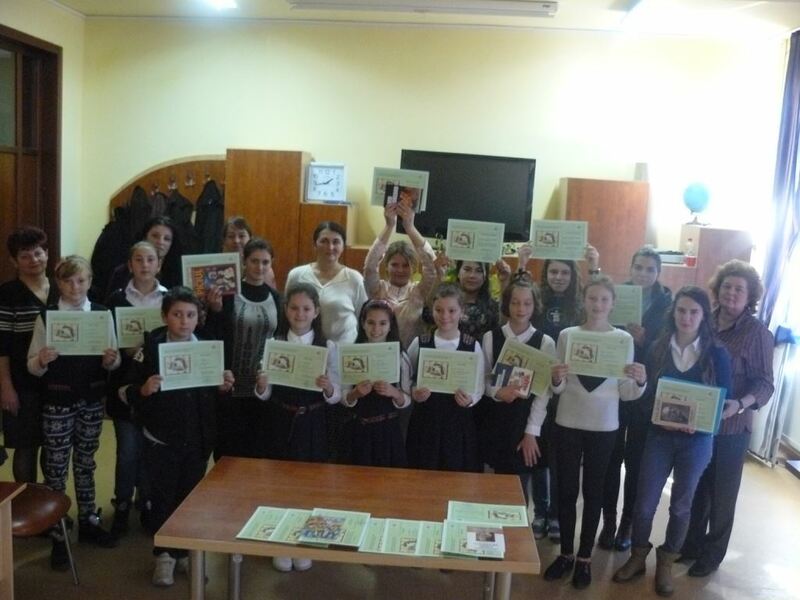 Certificate and Shields were awarded to the winners of the Interschool Storytelling Competition. 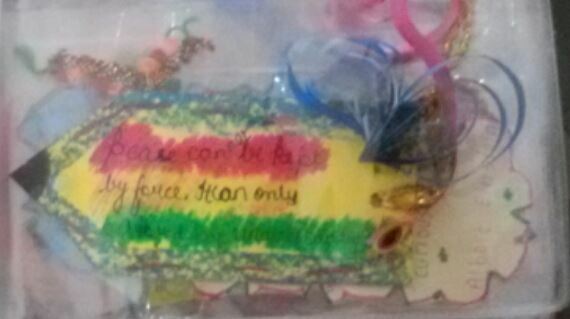 Art Competition: Topic: ‘Peace in My World’. 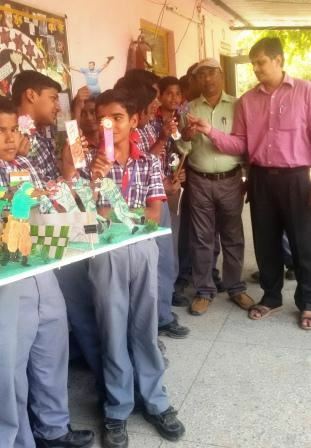 Students of Grade V took part in this Competition. The best artists were awarded Prizes and Certificates. Let me tell you a story: Mothers of Primary Section showed keen interest in this activity. They came to tell the stories during the library periods. Celebrating Literary Figures of the Year: Rudyard Kipling (English) and Nazeer Akber Aabadi (Urdu). 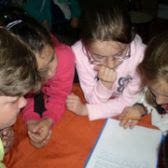 Students have been reading extracts of their work together and discovering interesting facts about the authors’ lives. An exposition of their work was presented in our Library and Class Bulletin boards during the library month. 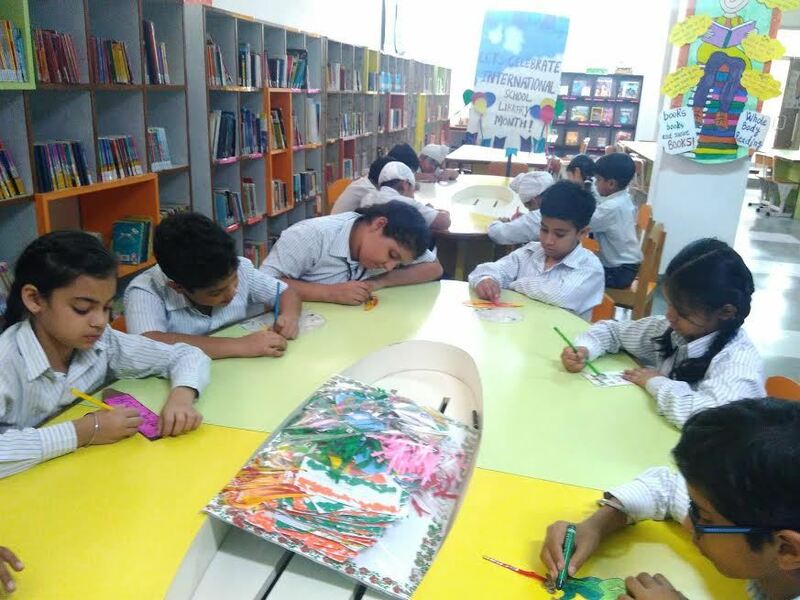 Various kinds of other activities were held during the library periods: Fun with New Words for Grade II, Odd One out - Thinking Skill for Grade III. 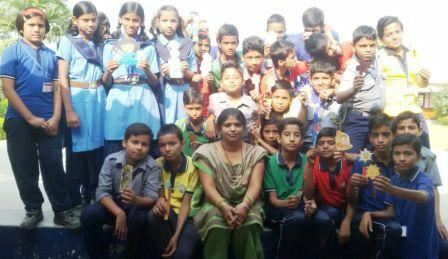 Vocabulary Game for Grade IV, Dictionary Game for Grade V, Jungle Book (Activity) for Grade VI-VII, How to write a Book Review for Grade VII- VIII and Elocution Competition in Urdu and English for Grade VI-X. 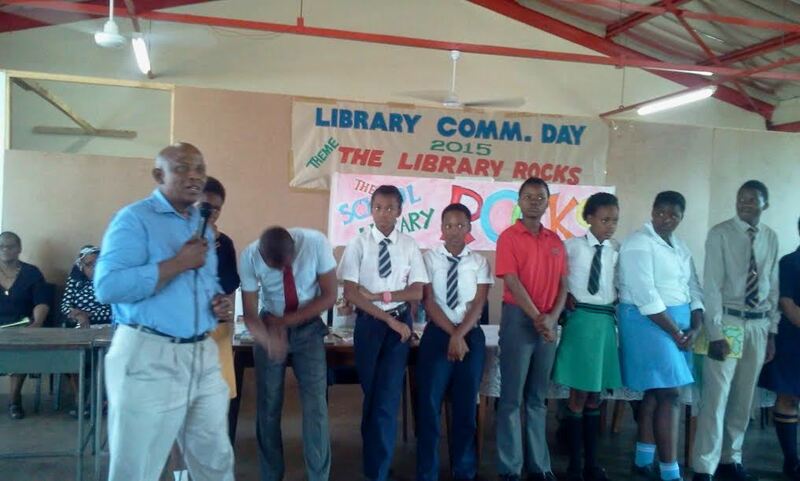 Assembly: Presentations were also held to celebrate International School Library Month. 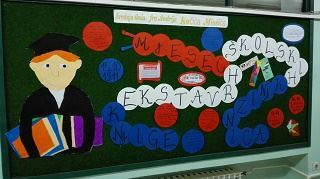 Class and School Bulletin Boards: Related to the theme of International School Library Month were prepared. 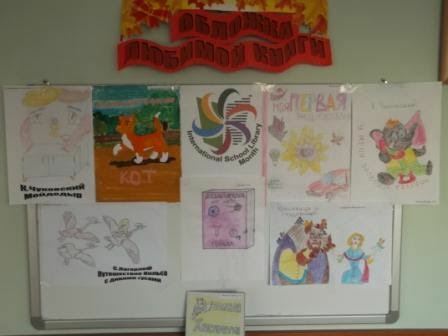 Display of students’ work: In classrooms and library. .
Book Fair: A book fair was arranged in which books of several varieties were available for the young learners at discounted prices. October 2015 was a very special month in our school. We celebrated the 20th anniversary of inclusive education. The library joined the two-day festivity. Our wall newsletter brought to mind a very exceptional man – a scientist and writer Stephen Hawking and his words: However difficult life may seem, there is always something you can do and succeed at. Disability is not anymore an obstacle on the way to knowledge. 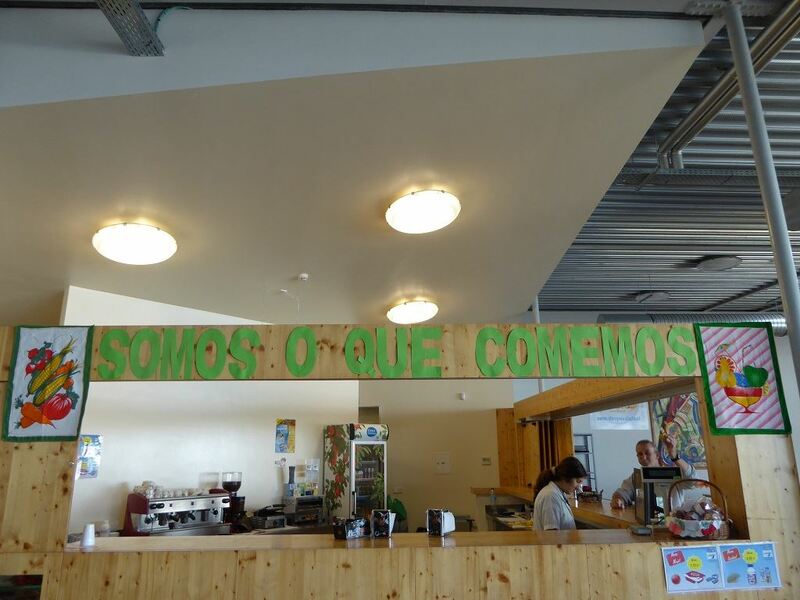 Never Ending Story of Learning was our motto for ISLM 2015. During the series of classes –The history of education according to Richard Platt (based on the book: Richard Platt, Would You Believe Collection, Would You Believe - In 1400, reading could save your life?) we read together, loudly, the most important or amazing parts of the text. Sometimes it was a real thrill, and sometimes a little sad and mind-blowing experience. Some other times – unbelievable and… funny. 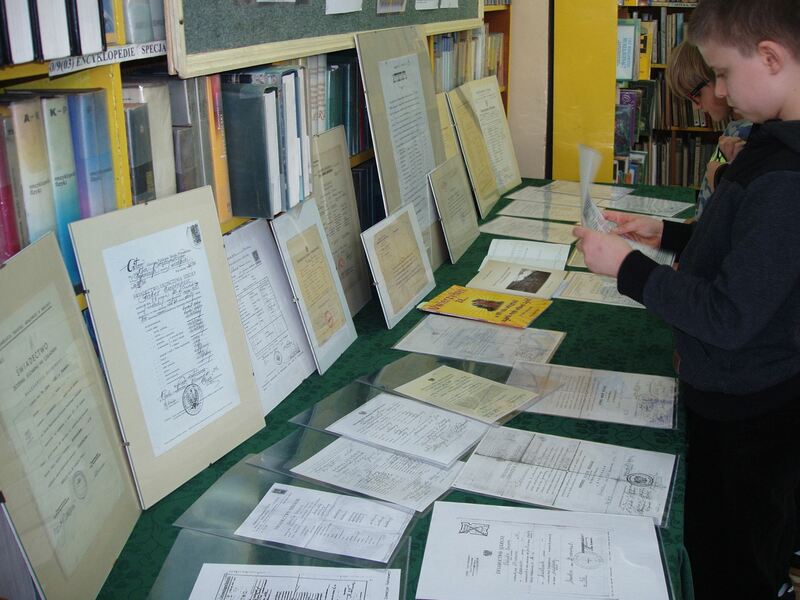 In the reading room we arranged an exhibition of the old school certificates and diplomas – There is always right time and place for learning. The items have been gathered by a passionate collector from our town, Mr. Jerzy Garbaczewski. The oldest certificate comes from 1859 (at that time Poland‘s territories were divided and occupied by Russia, Prussia, and Austria). Over 20 years of independence during iter war period (1918 – 1939) resulted in freedom to teach and learn, but The Second World War put an end to it. And again young Polish people were forced to acquire knowledge in extremely difficult conditions (clandestine classes etc.) under constant threat. The exhibition is an evidence of hard times for education in Poland. It is intended to raise students’ awareness of the value of free access to knowledge and the value of human wisdom, which is worth sharing, “however difficult life may seem”. 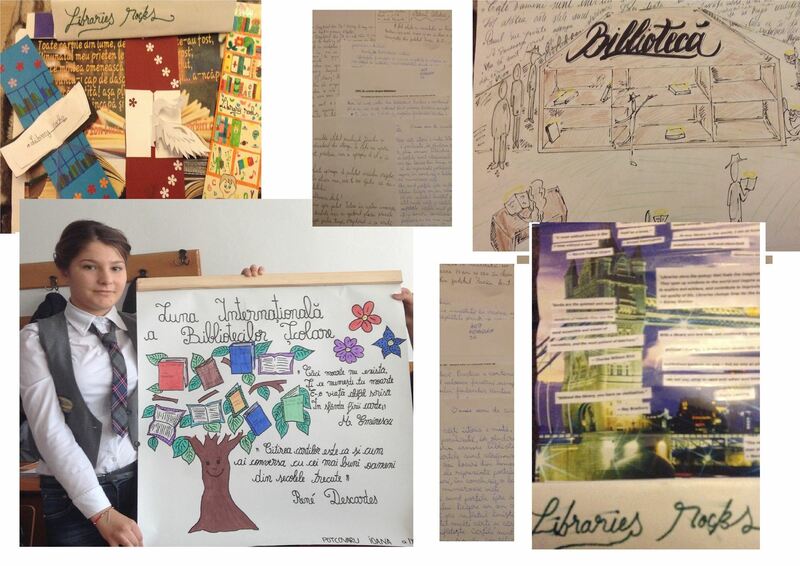 Promoting ISLM in our school – creation of promotional matherials: posters, drawings, brochures. 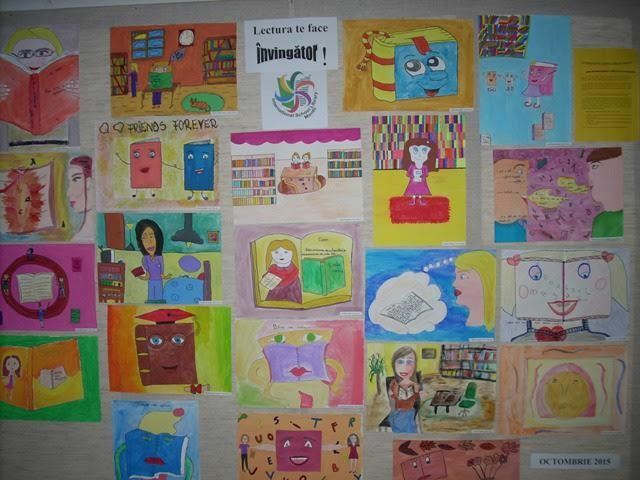 “Mural writing” contest- 5th to 9th grade classes complete the official slogan of ISLM "School librarian rocks!”. 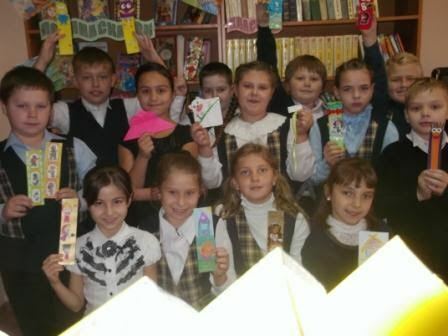 Bookmarks Exchange Project- 4th grade shared bookmarks with schools from Hungary. Distribution of a reading promoter flyer to the parents. 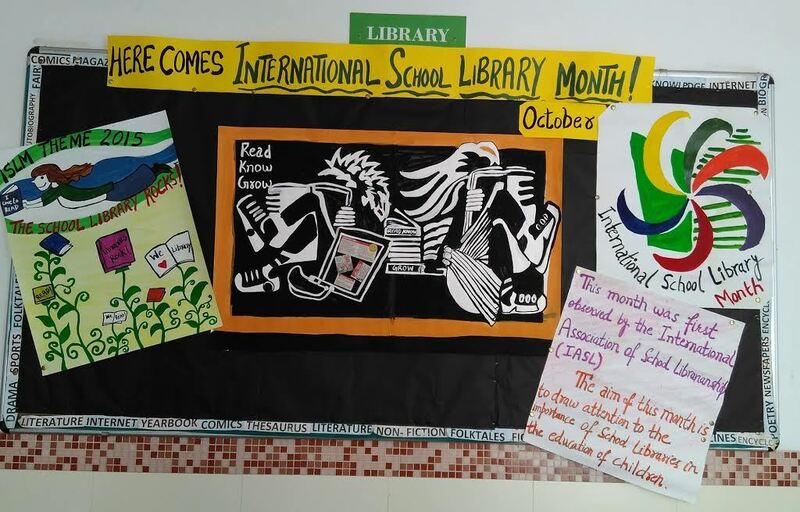 During the month of October students of the 9th grade Pardilhó Group of Schools, in the discipline of Visual Education and in cooperation with Eco Schools and School Library made posters for the International School Library Month - The School Library Rocks. 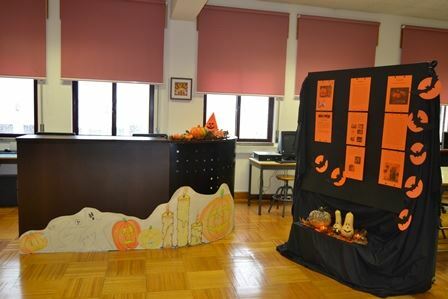 Halloween's celebration with stories about witches and ghosts and school library decoration. 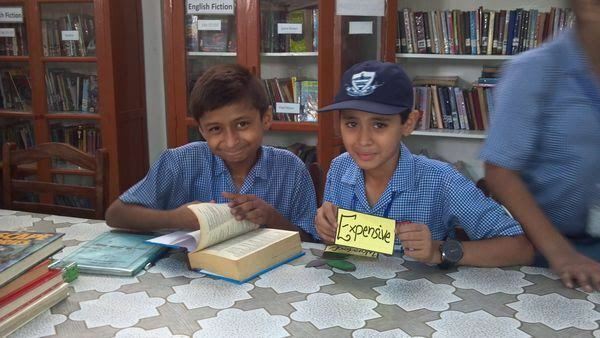 Our aim is to develop abilities regarding information, reading and digital literacies. To achieve this goal the librarian team has been carrying out training sessions. 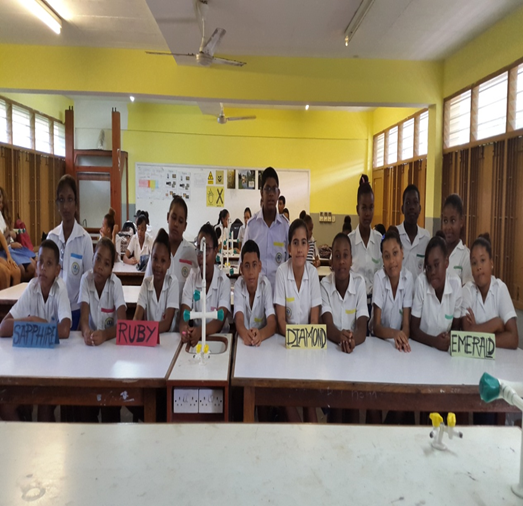 The students in their 7th and 10th grades, especially those who have been attending this school for their first time, are the main targets of this training. The training sessions deal with the organization of the school library, consulting the digital catalogue, looking for information about guidelines on the school website, organizing projects and reference lists. After the training sessions students are asked to complete a quiz in order to evaluate their learning in librarian abilities. 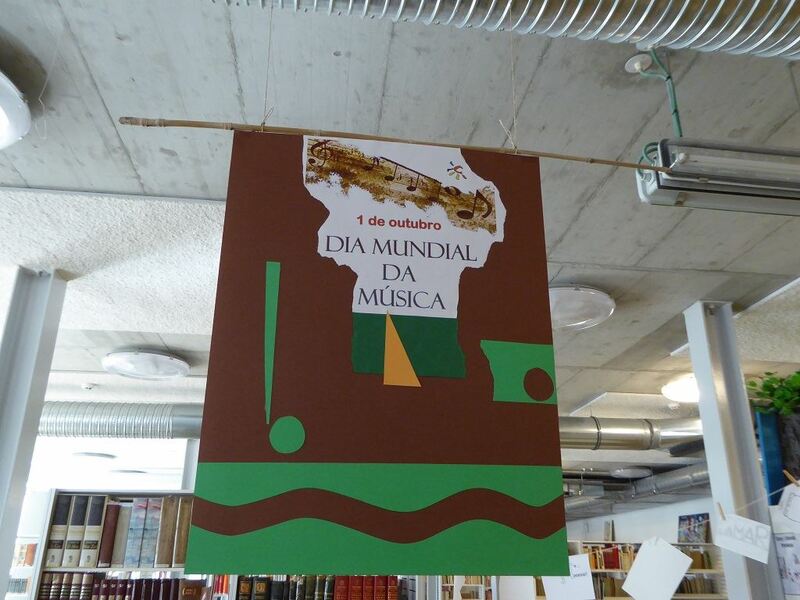 Last October, the librarian team organized several exhibitions about “International Music Day”, and “ World Food Day”. 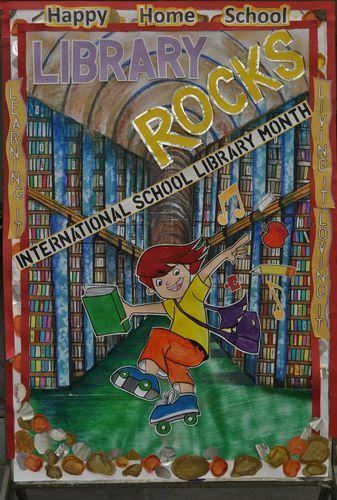 In 2015, during the International School Library Month, these oases of culture were celebrated worldwide under the name “School Library Rocks”. 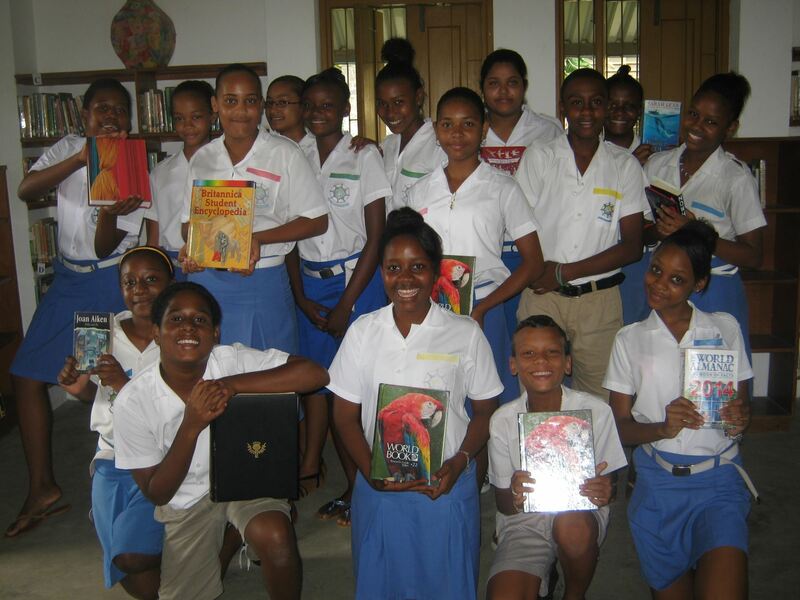 “My first book borrowed from the school library” – pupils from grades I and II. 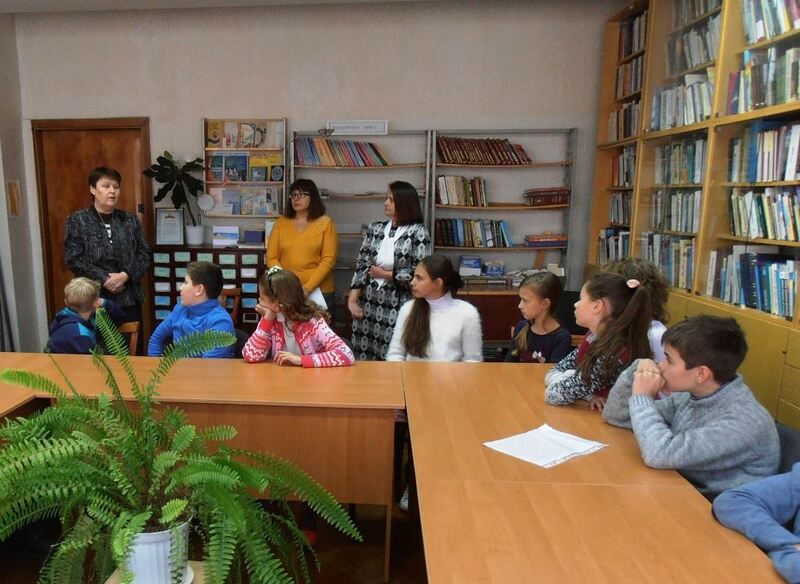 “Books written and illustrated by the dwarfs” - creative workshop for pupils grades IV and V.
“Why do we have to read?” - Roundtable with participation of secondary school students;- Promoting the campaign "Leave a book somewhere." 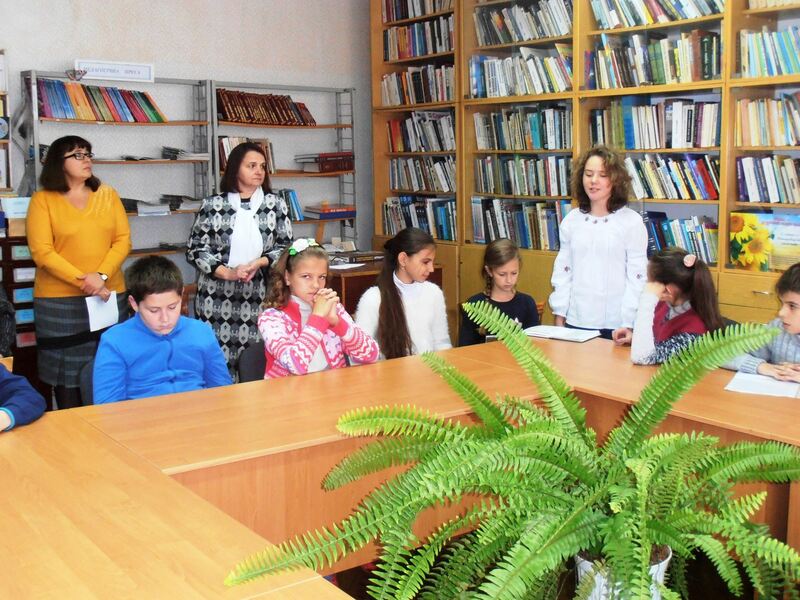 Our school and the library were visited by a group of teachers from the neighboring country, the Republic of Moldavia. Our guests participated in some activities and expressed the enchantment of beautiful moments spent in this fruitful exchange of experience. 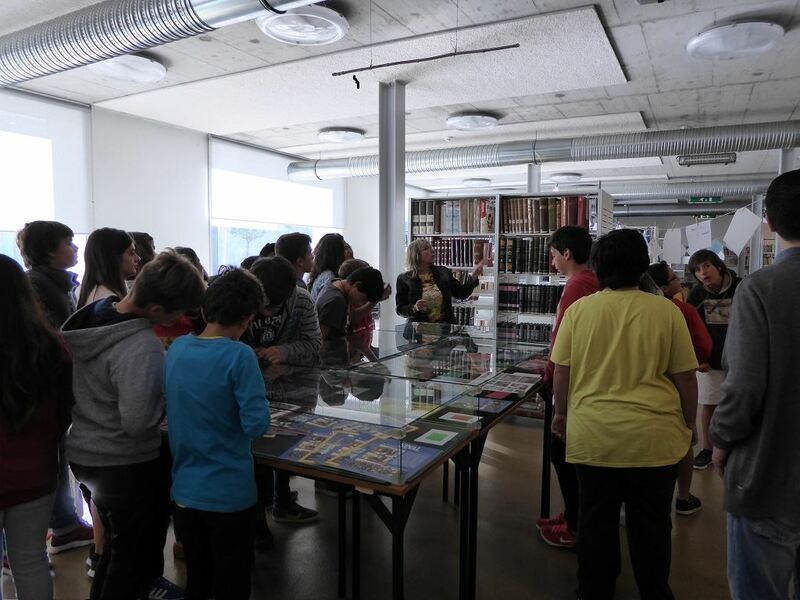 Let’s discover the world of books – Three classes of 5th graders visited and discovered the school’s library media center, together with their coordinating teachers. Reader’s corner – exhibit of books read by the school’s students, at the closing of which the best readers received a prize. 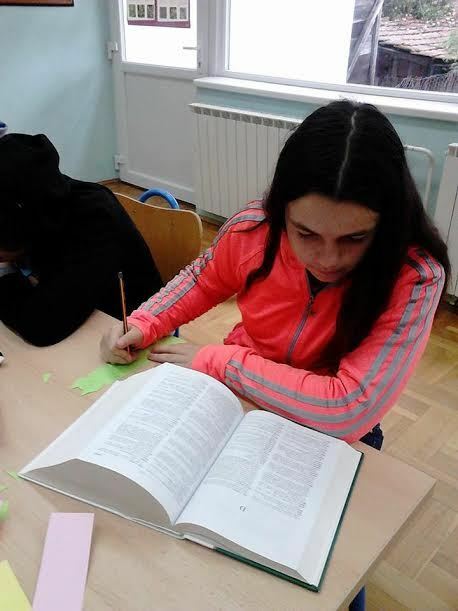 We participated in the ”BOOKMARK” international project with a group of 13 students and our partner was a school in Hungary. 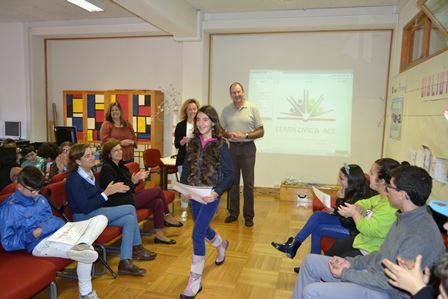 The closing event of the ”International school library month” where the participants were awarded prizes. 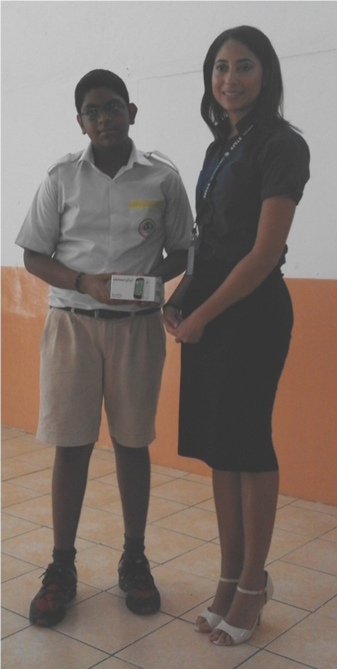 Many thanks to Mrs. Marie O’Brien, the coordinator of ISLM 2015, for her kind support. 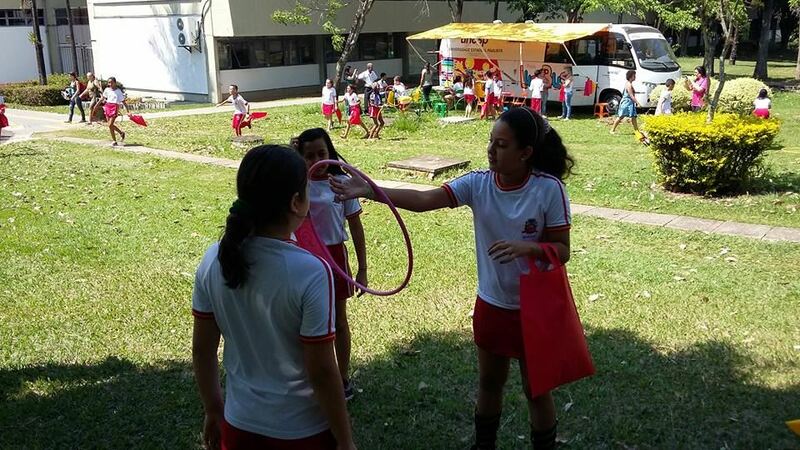 Brief outline of the ISLM activity: Students from ninth to eleventh grade participated in a variety of activities. 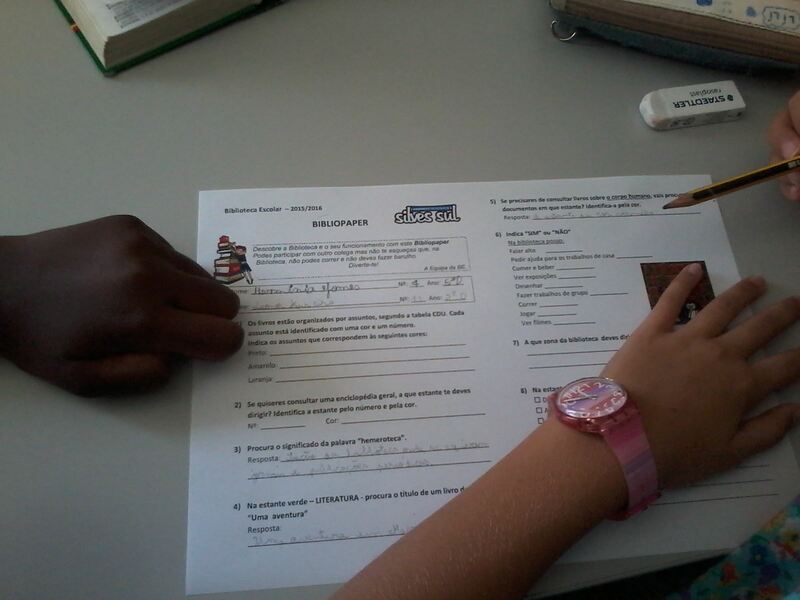 Coordinated two activities dedicated to the writer Edgar Allan Poe, at the tenth grade. 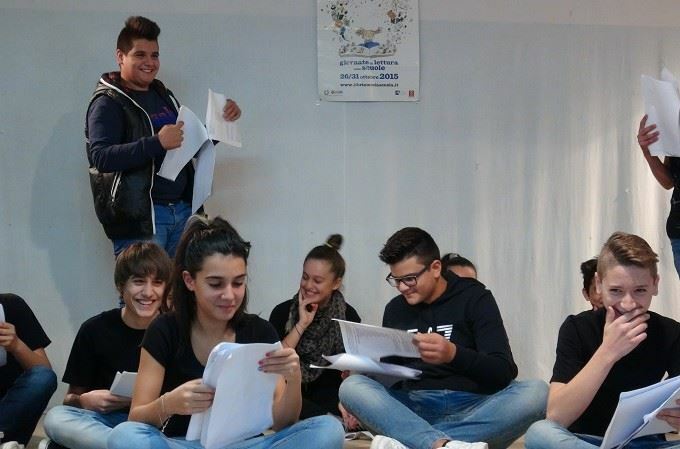 Coordinated 75 students implicated in the project from the followings: ninth, tenth and eleventh grade. 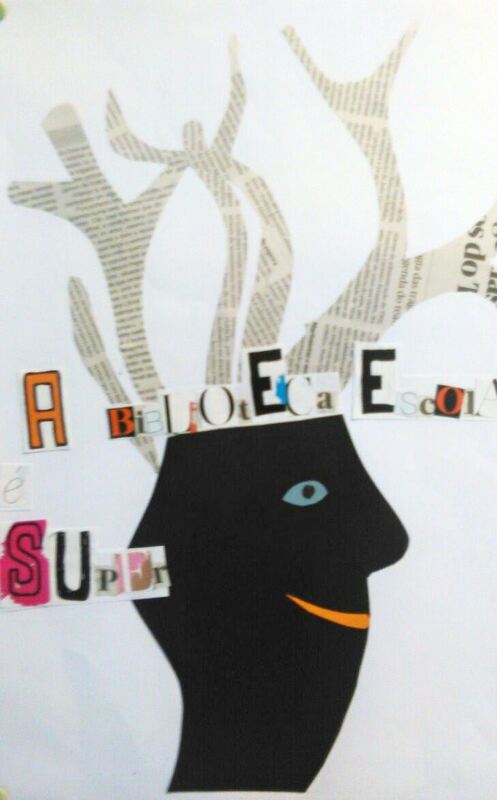 “Adolescent reads” Competition of favourite book presentations, made in an original, creative and persuasive way. “Ion Creangă-140 years since his debut: “Amintiri din copilărie”-destinies pictured in quintets”-illustrated quintets contest: «Harap-Alb, an exemplary destiny pictured in quintets and biopoems»-illustrated quintets and biopoems contest. 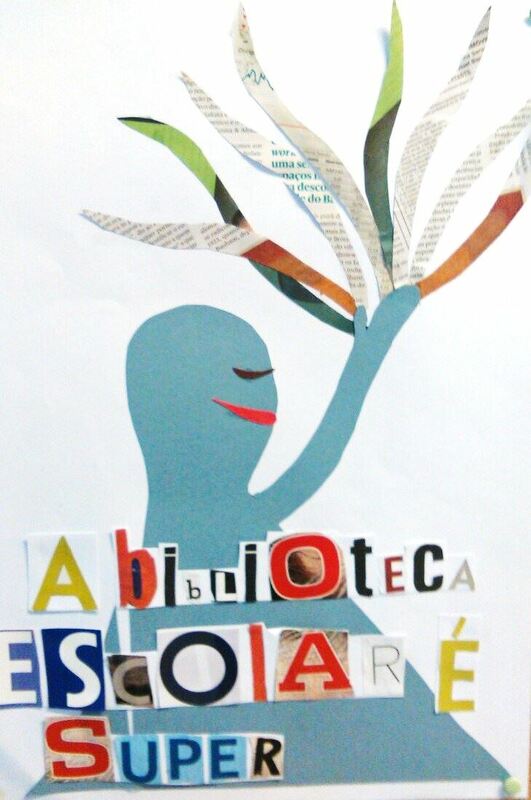 Activities ended with the creation of a quintets and biopoems book as a final product. 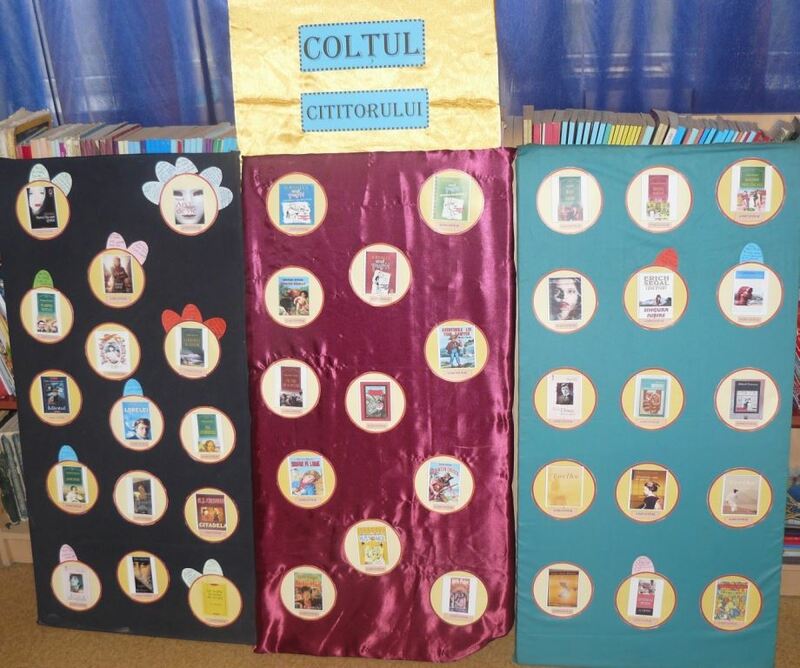 Brief outline of the ISLM activity: In our school, Scoala Gimnaziala “ Toma Cocisiu ” Blaj, organizing activities in order to celebrate the International Day of the School Library has become a tradition. 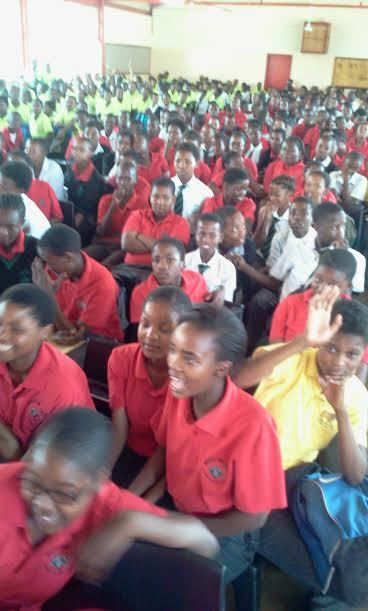 390 students mentored by the teachers of the school have been involved in various activities this year. 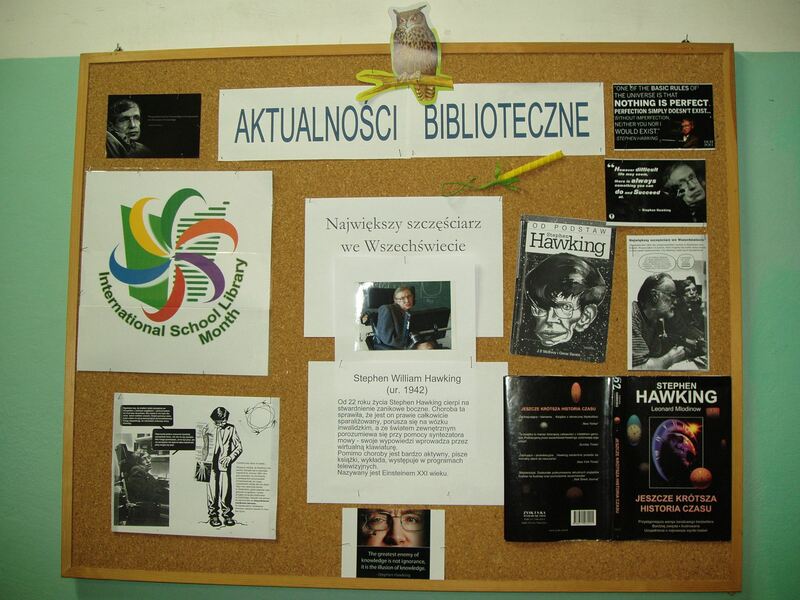 Promoting ISML in school and on facebook - posters, drawings and bookmarks exhibitions dedicated to this event. The Open Days Week at the school library - visiting the school library. 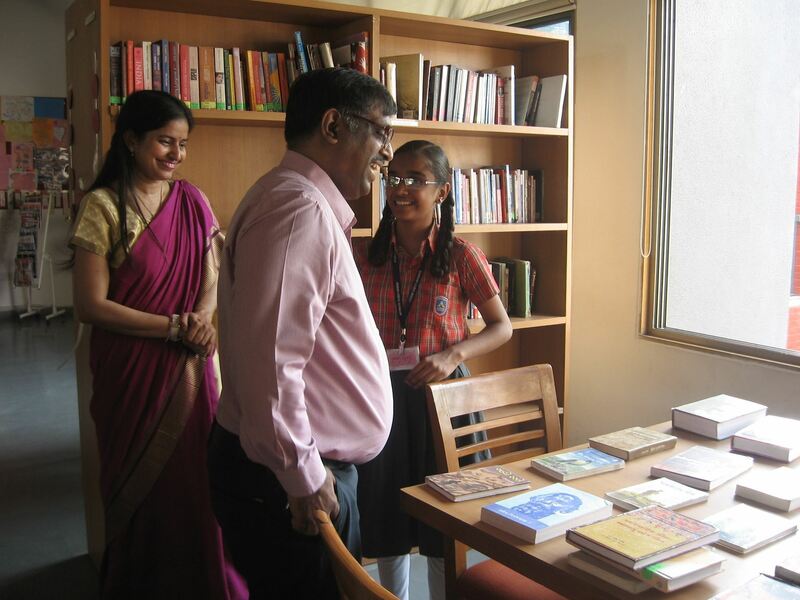 Librarian for a Day – practical activity for promoting this job among students. The Stories got mixed up at the library - sorting and arranging some pictures according to a title. Let’s remember - watching a movie about the activities from the previous year ISML. The World in Pictures - books, atlases, encyclopedias, tourist guides and post cards exhibitions. 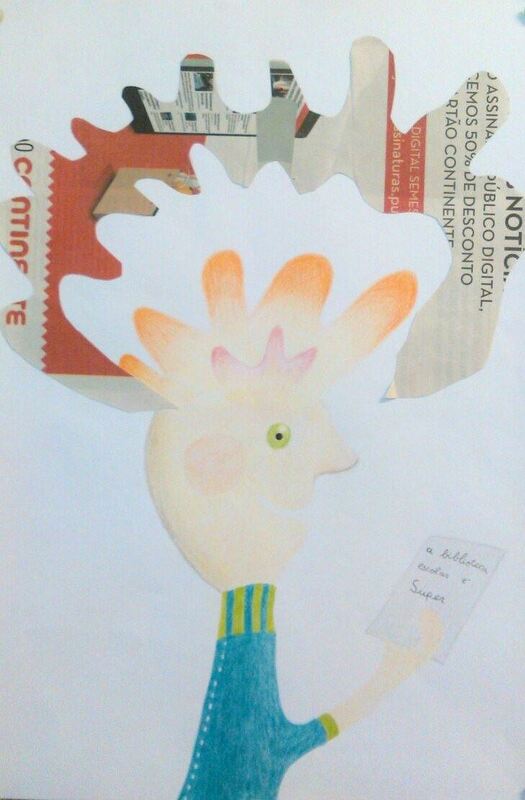 Bookmark project - students from other countries exchange bookmarks. 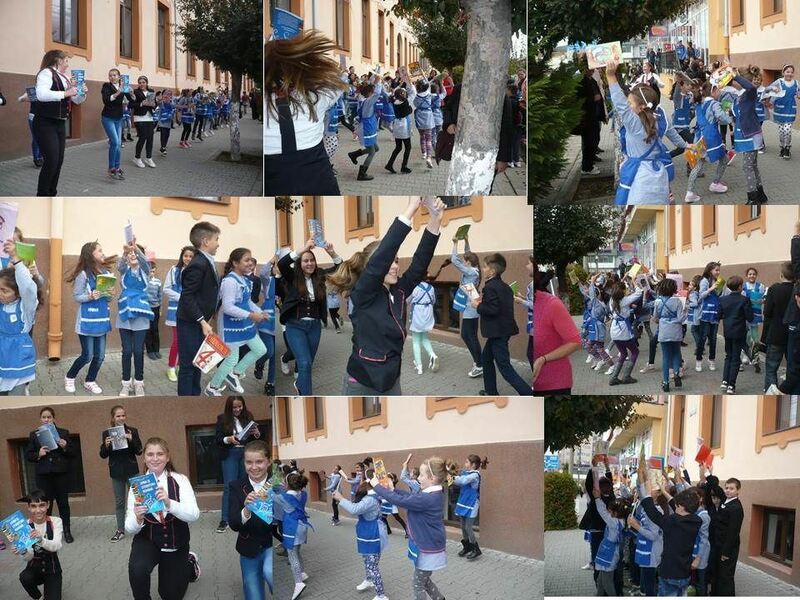 This year, the students exchanged bookmarks with schools in USA, Spain and Portugal. Curiosities of the Book World - PPS presentation. Let’s Visit Other Libraries - a visit to The Town Library. My best friend - the book - flash mob. 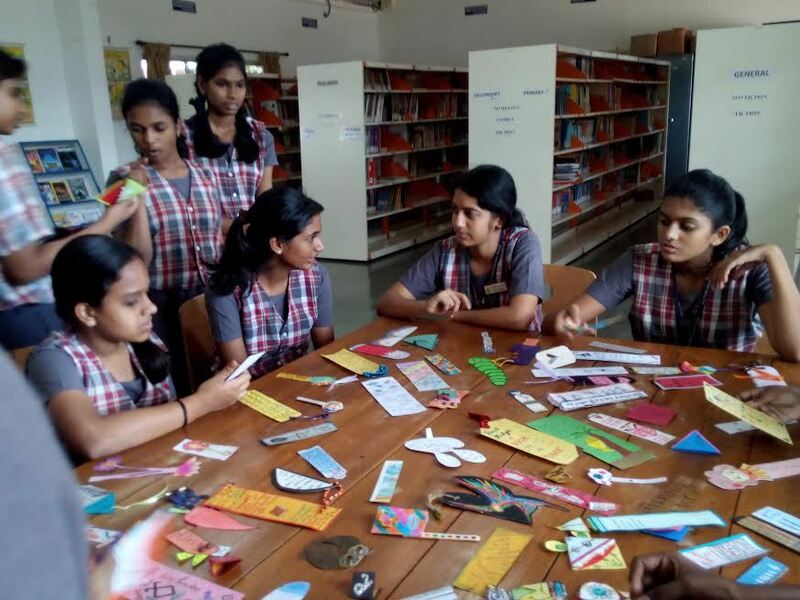 Our school had joined to ISLM Bookmark Exchange Project. 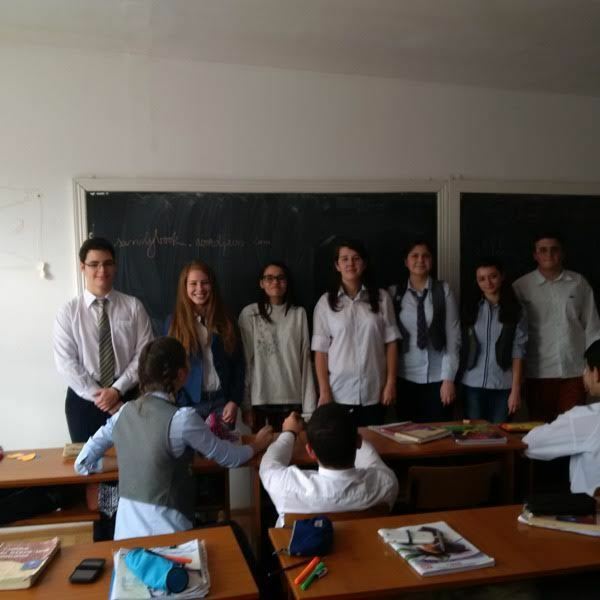 There are 18 students (9 years old) became the partners from Hungary. 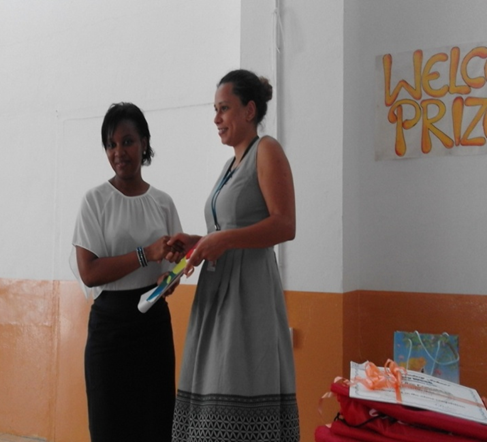 The most activity participants were rewarded by diplomas and books. 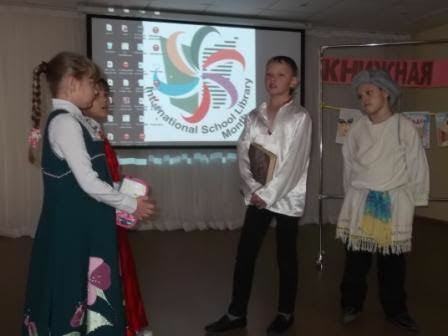 the evening ”National British Holidays” for sixth-grade pupils (pupils got acquainted with history of British holidays; they also performed national British fairy tales, sang songs and read poems). 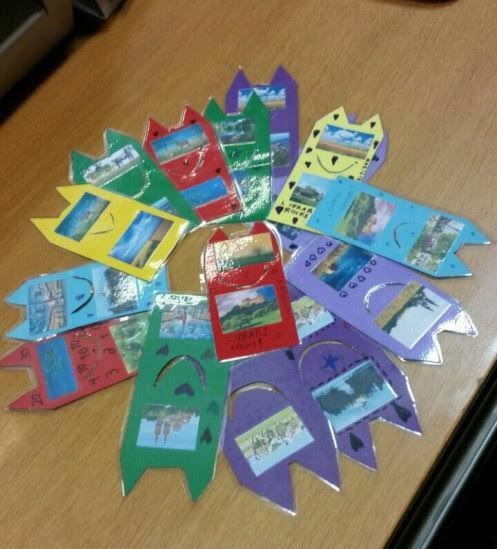 Our school had joined to ISLM Bookmark Exchange Project. There are 60 students (10-12 years old) became the partners from Australia (Marcellin College, Bullen). Brief outline of the ISLM activity: We choose the 19th – 26th October 2015 to celebrate this event. We organized activities for both students and teachers. 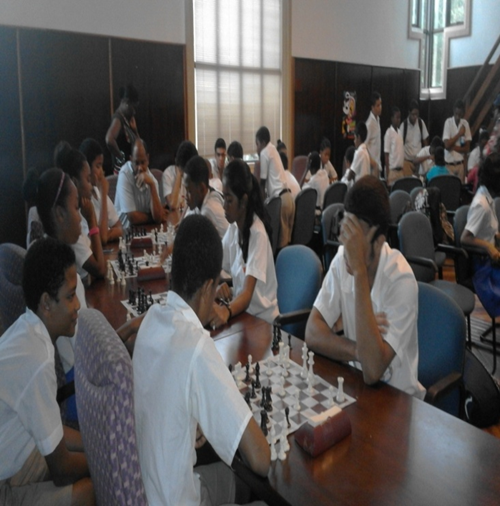 Chess Competition: Class level S1-S4. All secondary around Mahé took part including Private Schools. Most of the activities were at competition level. 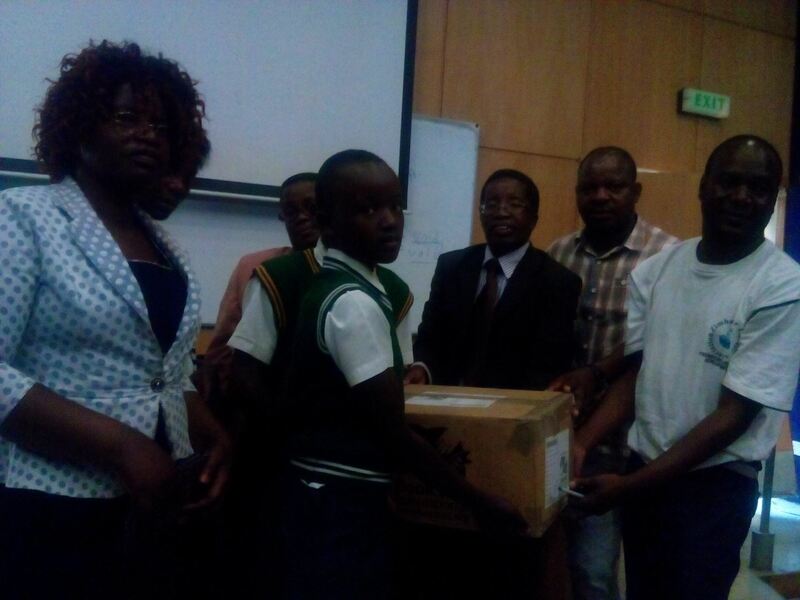 Winners were awarded their prize at the Prize Giving Ceremony at the Ministry of Education Hall on the 26th October. The ceremony started with a Welcoming Speech followed by Poem, Song, Presentation Of Disney Characters, Drama, Dance by students and presentation of prizes to the winners. 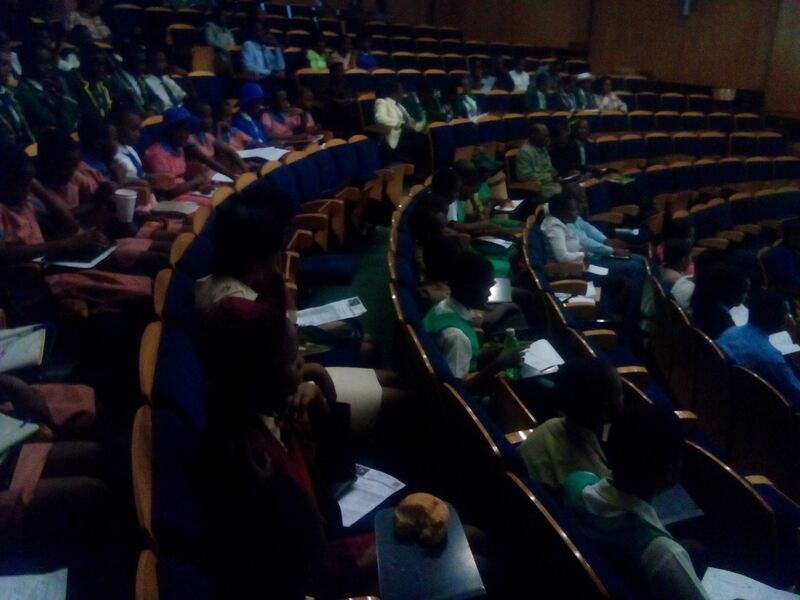 Various sponsors, staff from Ministry of Education, P.T.A, Parents, librarians and representatives from the seven secondary schools on Mahé and two private schools Namely International School and Independent School. The ceremony concluded with a vote of thanks and all present were asked to join in for refreshment. 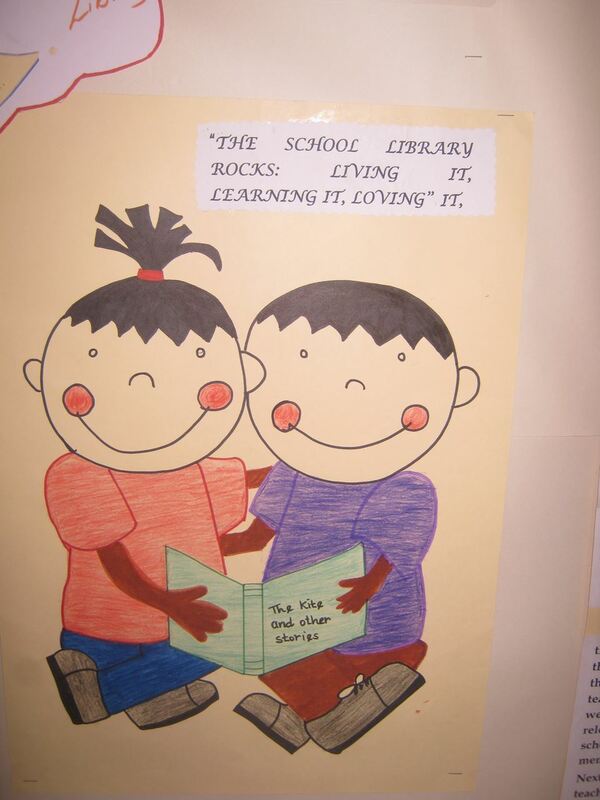 The week was described as successful as it has enriched and broadens students’ appreciation of their school libraries. 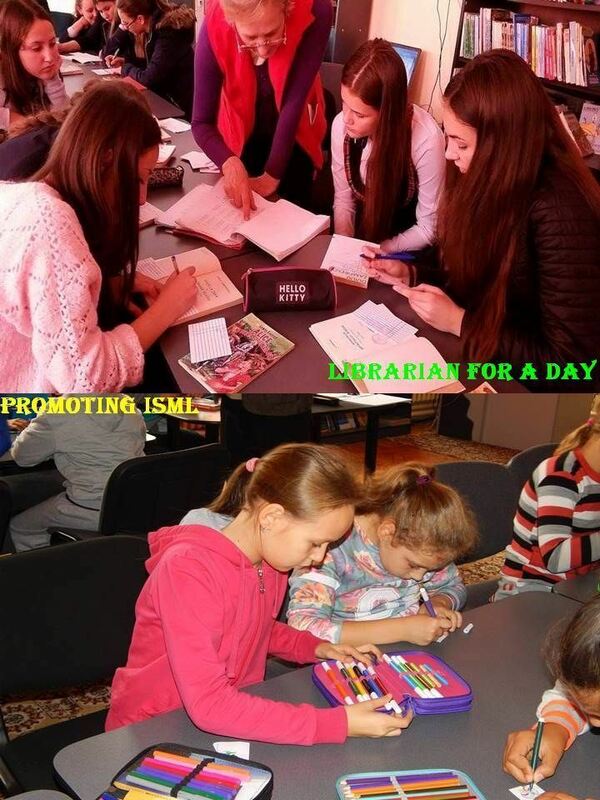 Brief outline of the ISLM activity: The Ministry of Education was celebrating 35 years of the official existence of school libraries. 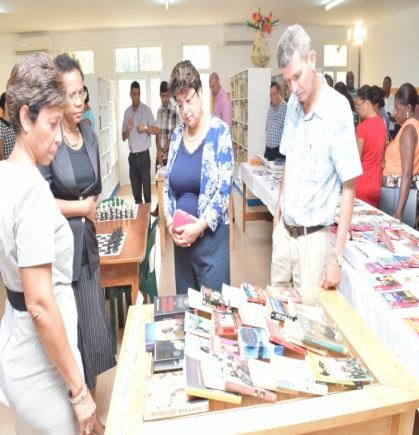 An exhibition titled “History of School Libraries in Seychelles” was held on the 21st October to commemorate the event. 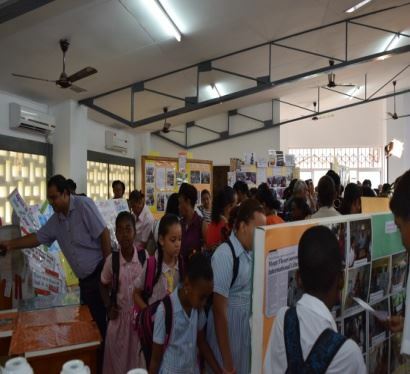 It was a success as most schools both from primary and secondary took part in the very colourful and informative exhibition. 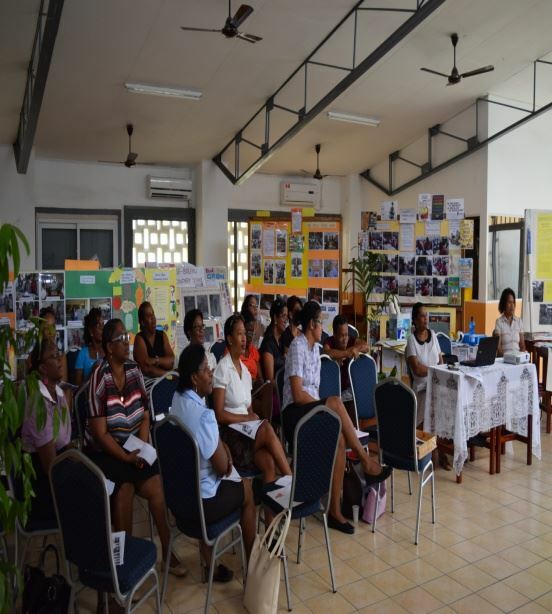 A two day workshop entitled “Animations en Bibliothèque Scolaire” was organised for the Librarians, as a gist to encourage them to use French during the library activities. 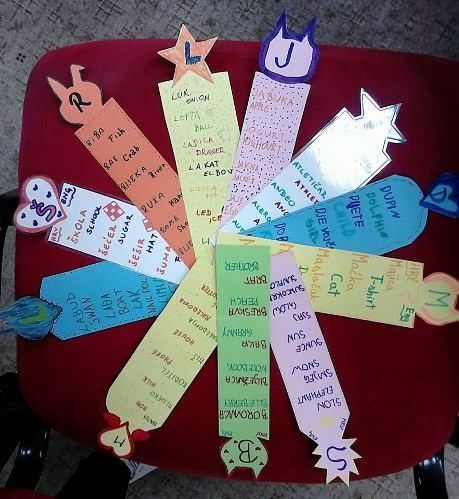 The librarians found the workshops to be very fruitful and felt that they have been empowered with knowledge and skills to help them discharge their responsibilities and are looking forward to have more sessions of this kind. 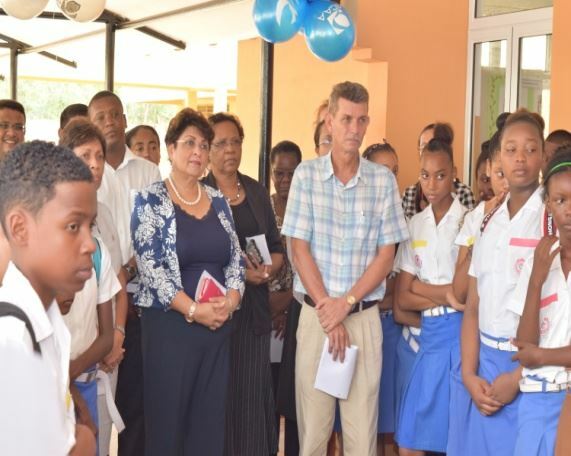 Re-opening of English River Library’s Secondary School. The place which was in a dilapidated state has now been renovated and refurbished with the help of SCAA and the other partners. It is now equipped with modern facilities such as air-condition, computers, new books and a set of comfortable sofa. 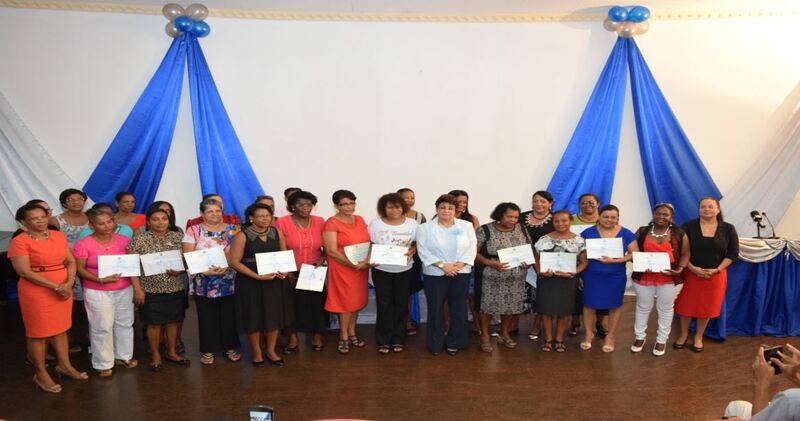 Awards for Librarians - The Librarians who have working in schools since the beginning were not forgotten, and on the 6th November 2015, 21 of them who have been working for more than 25 years were awarded a certificate and a cash prize. 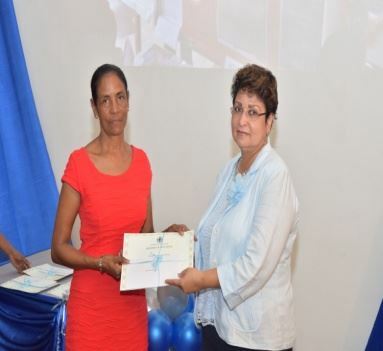 During the ceremony a Librarian with 35 years of experience had the chance to share her ‘parcourt’ through her testimony. 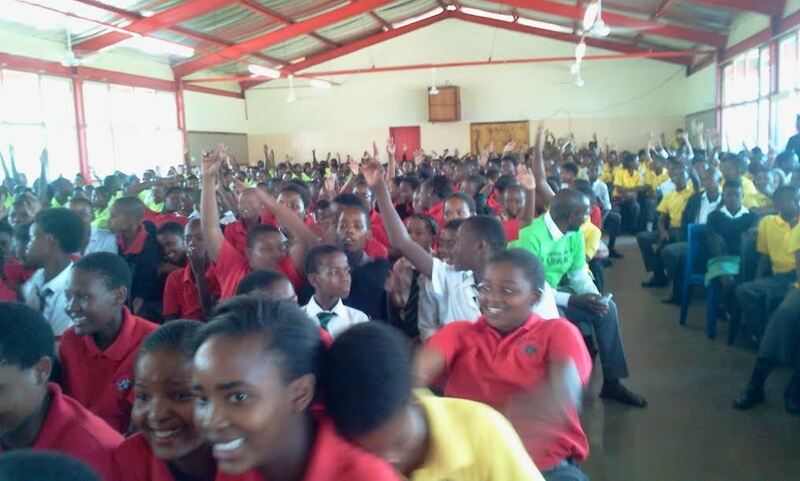 They were entertained by a group of students form Mont Fleuri Secondary School. 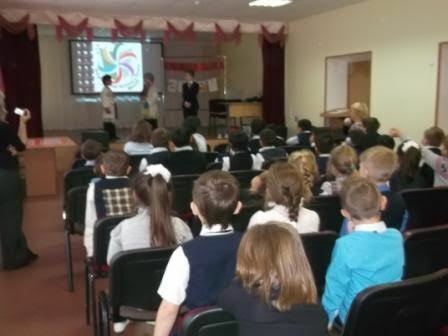 A special assembly was held on Monday the 26th of October. We started with prayer which was followed by the head teacher’s speech. 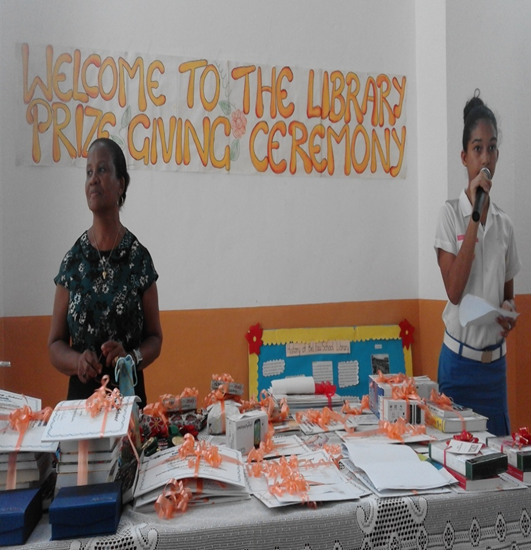 A student Sarah Labiche read a poem entitled “My school library rocks.“ After there was presentation of prizes for the most frequent library users teachers and students and also for students with most library books borrowed. We ended with the song “Top of the world” by The Carpenters. We have chosen the week 19th to 23rd of October to conduct activities which will encourage students and teachers and others to read more and also make better use of their school library. 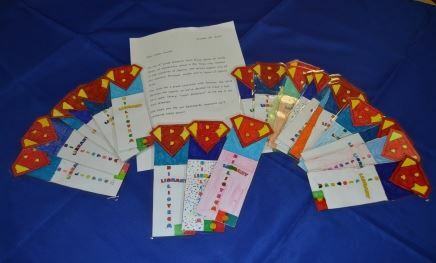 Bookmark exchange with Bosham Primary School in United Kingdom. celebration Harry Potter still rocks! 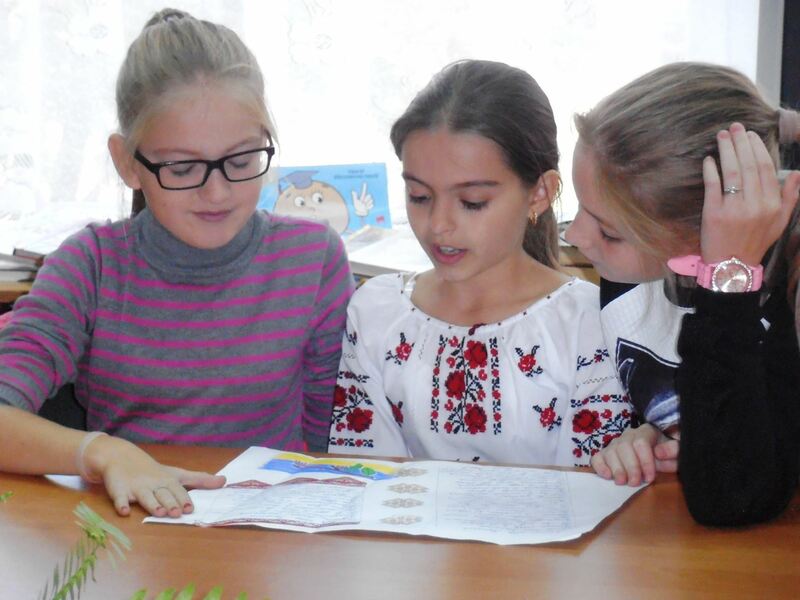 Brief outline of the ISLM activity: All-Ukrainian Month of school libraries was held in Ukraine in October as a part of International Month of school libraries. The slogan of it was “Bring up a citizen - a patriot of Ukraine”. 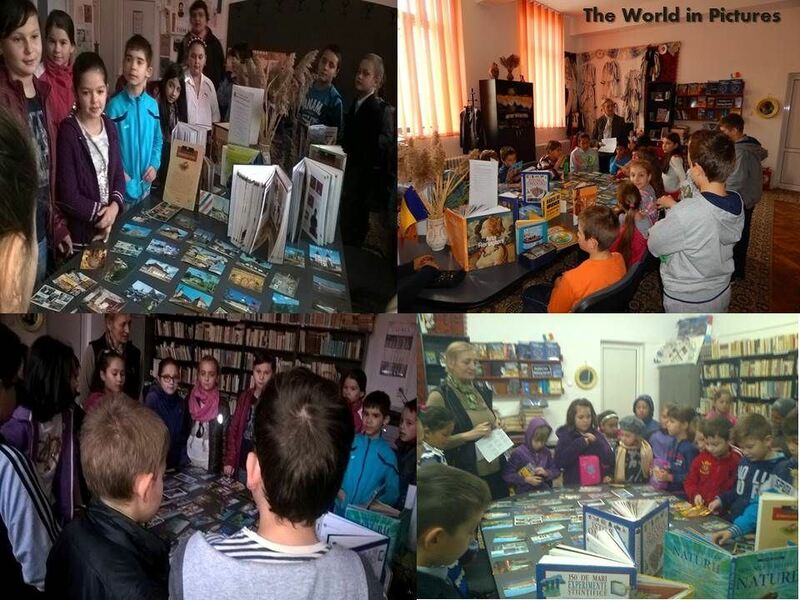 The main task of this school arrangement was to attract pupils’ attention to the library, to develop reading interests, to teach how to work with books, to popularize patriotic information. 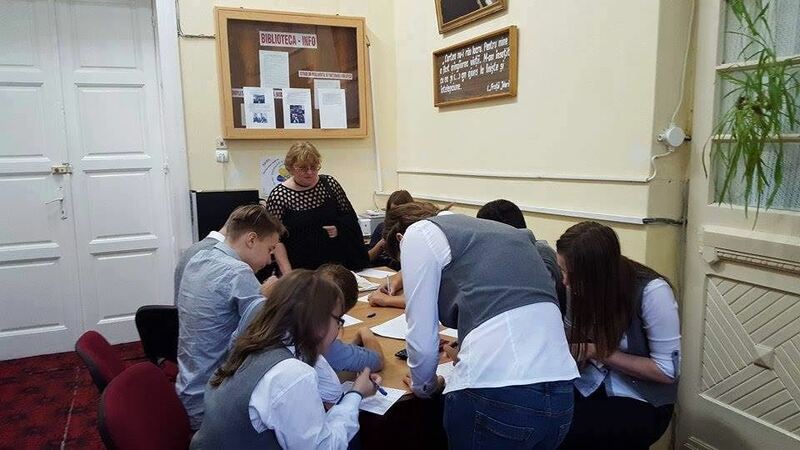 The pupils of the 6th forms worked on the project “With Ukraine in heart” and the final arrangement was a literary hour, which took place in the Reading Room of the school library. The children read their own reviews of the works they have read, recited different poems, shared their opinions and impressions of the arrangement. 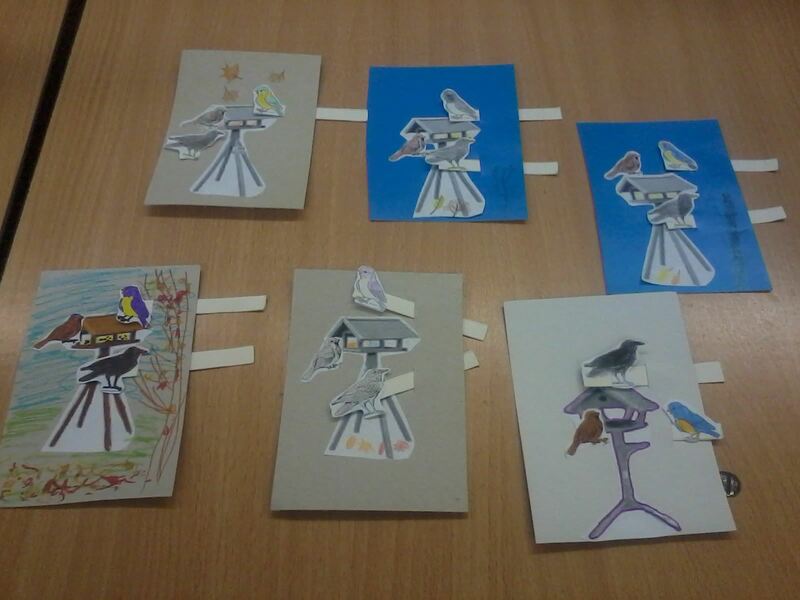 Some of the pupils created illustrations to the poems, which they enjoyed greatly. 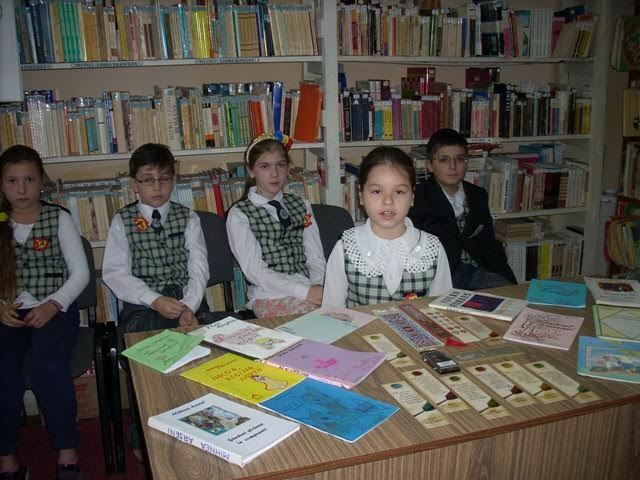 The school action “A Ukrainian book to school libraries of the liberated territories” has been lasting the whole October. 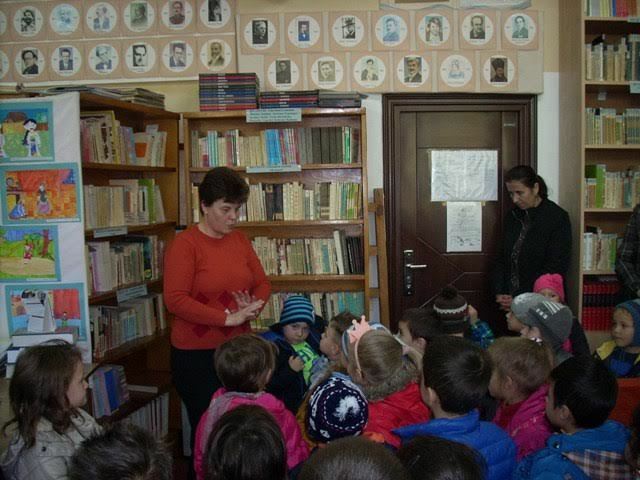 One hundred books, which have been collected, will be sent to Luhansk. 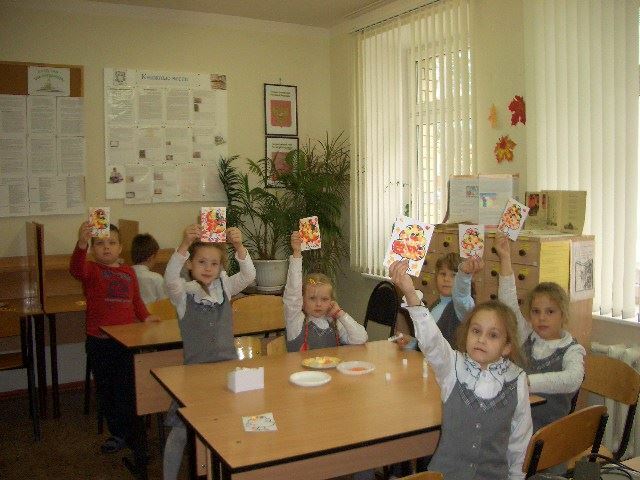 68 pupils of the second forms became the members of the big family of school readers. 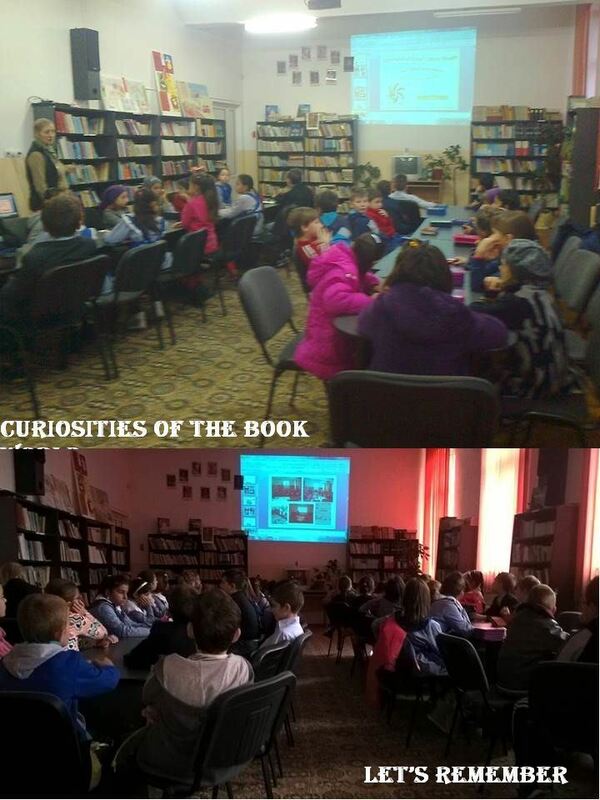 They had very interesting classes “Hello, school library”. 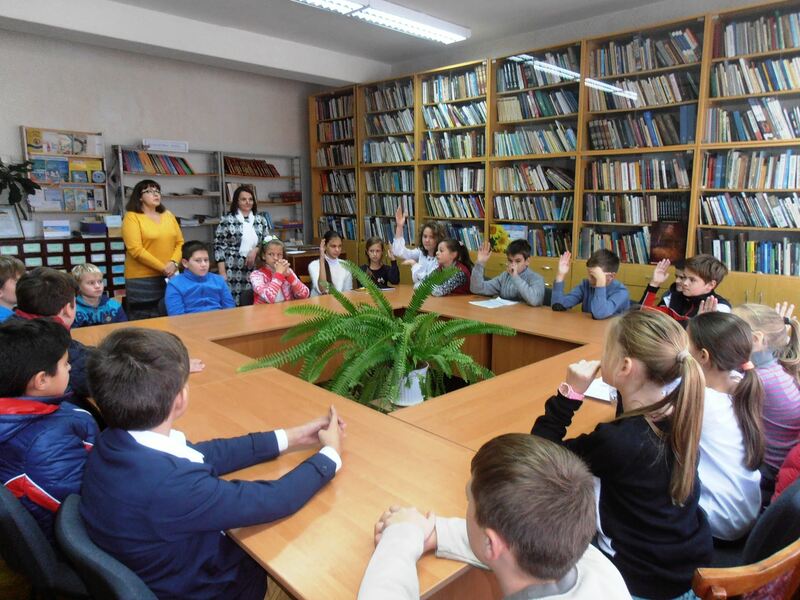 Realizing educational work, school library always was and always will be the breeding ground of formation the citizen – the patriot of Ukraine. 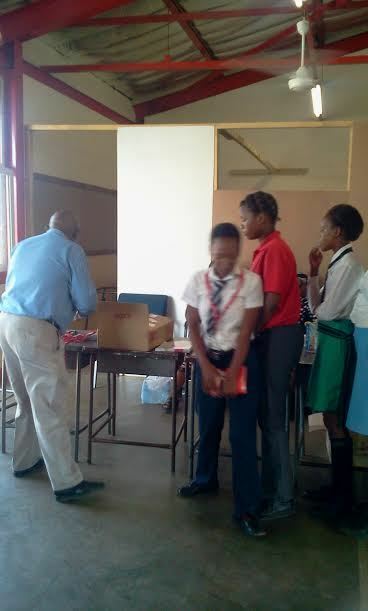 Brief outline of the ISLM activity: In tandem with other countries of the globe Zimbabwe celebrated International School Library Month (ISLM) 2015 on Friday the 16th of October 2015 at the National University of Science & Technology, in Bulawayo. 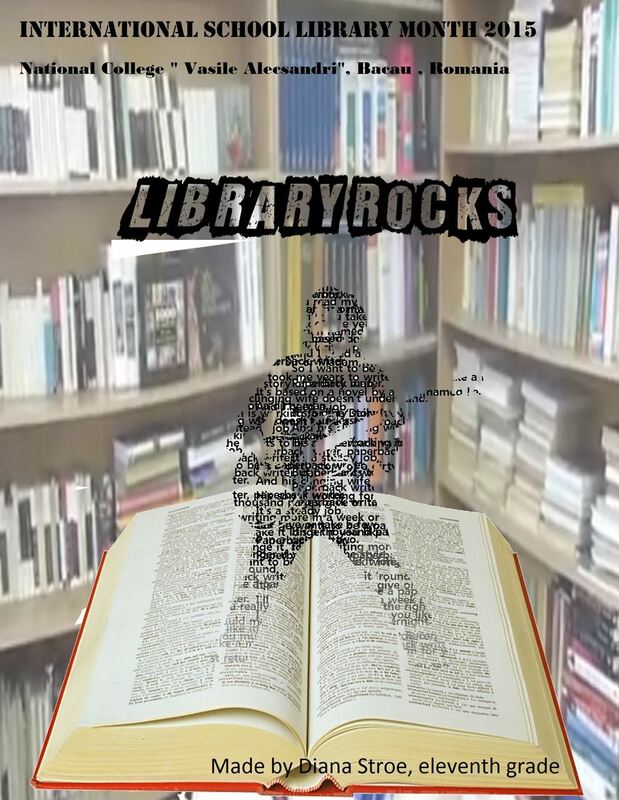 This year’s theme was 'The School library rocks'. 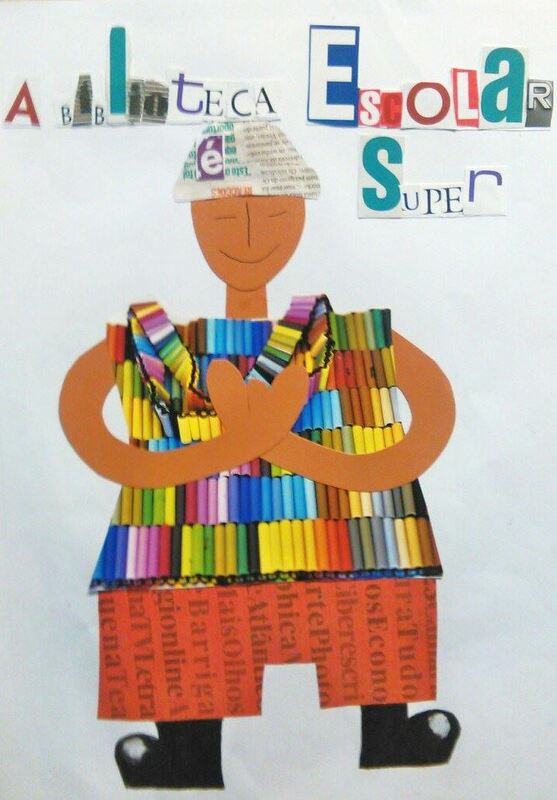 Our sub theme remains as ‘One school, one library and one qualified librarian’. ISLM celebrations were introduced in Zimbabwe in 2010 and since then they have been an annual feature in the school library calendar. 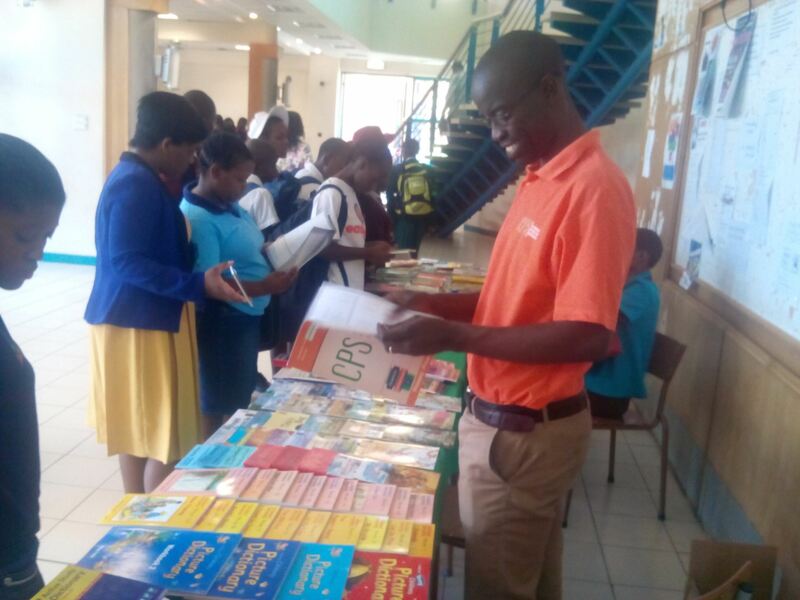 The event was jointly hosted by the Library & Information Science Department, Zimbabwe Library Association, International Association of School Librarianship and the Zimbabwe Library Development Trust (UK).